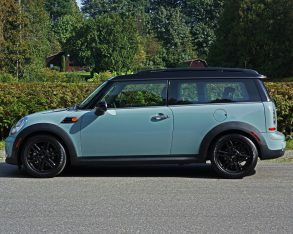 have never gotten around to it, now’s the time. 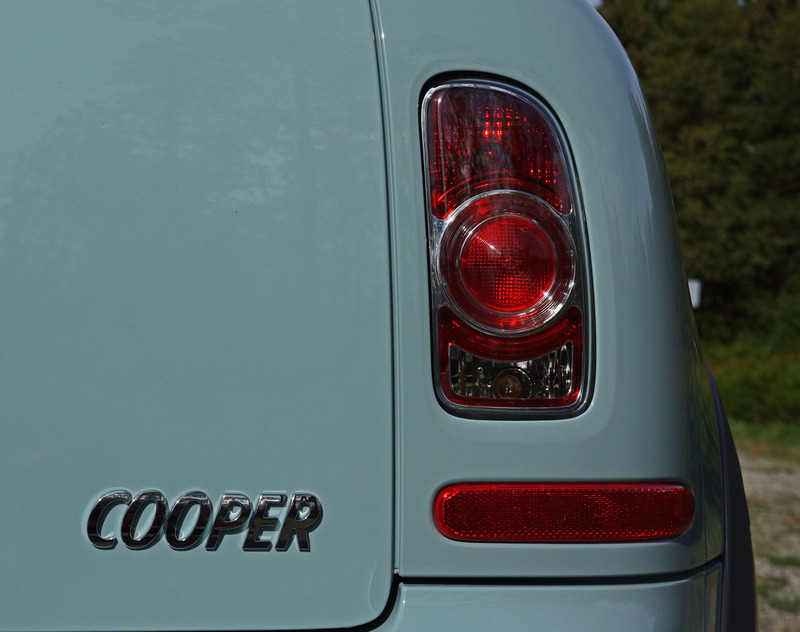 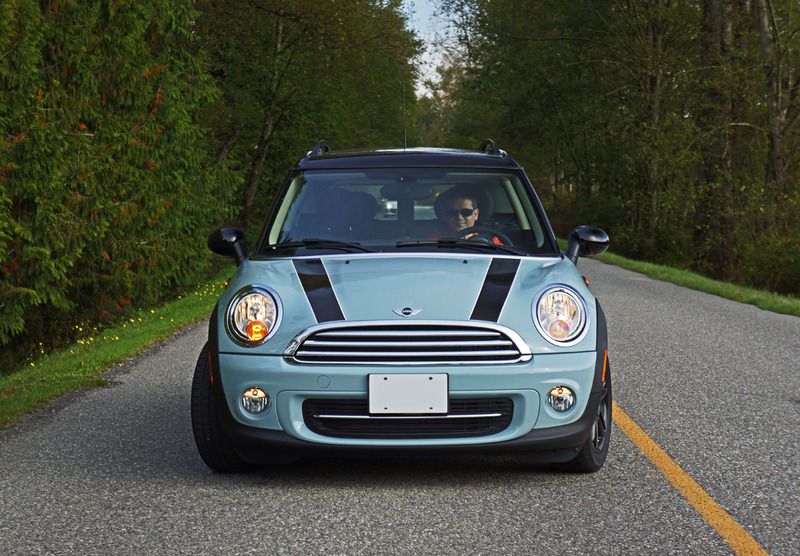 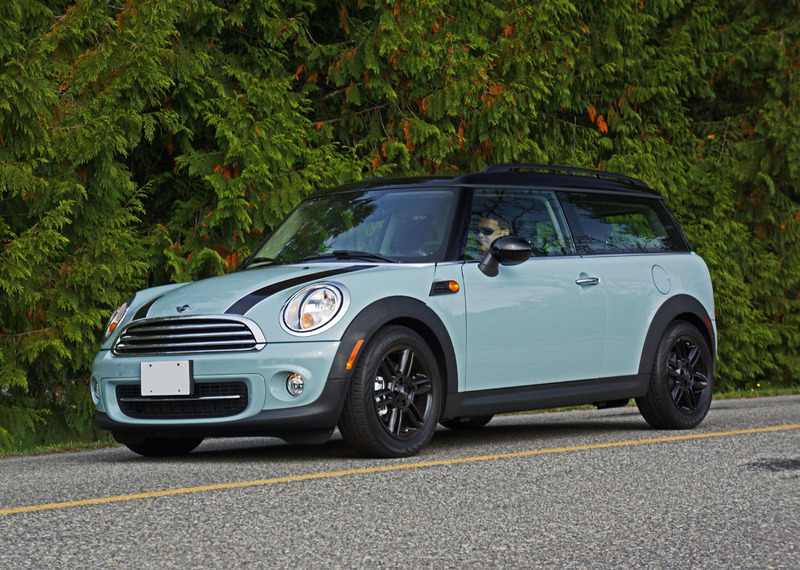 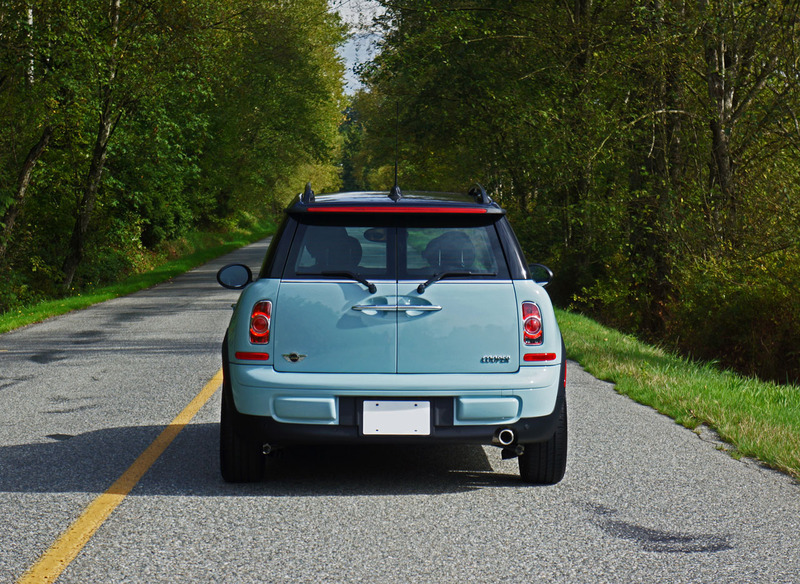 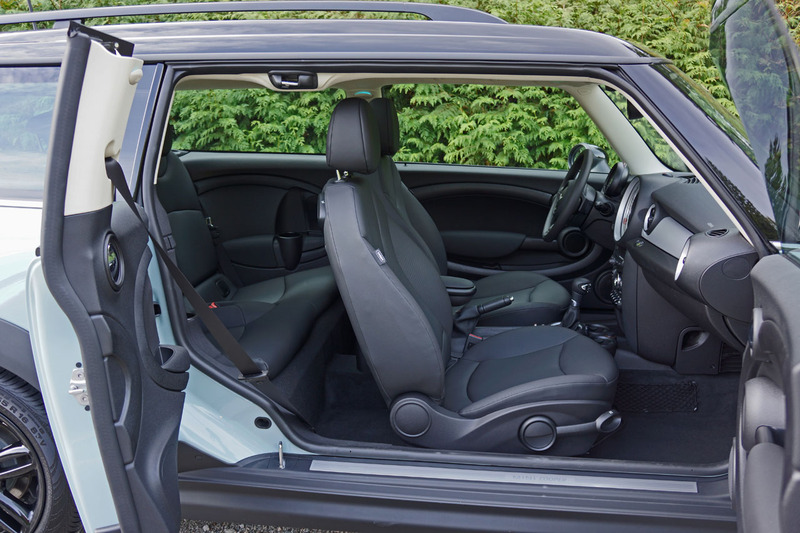 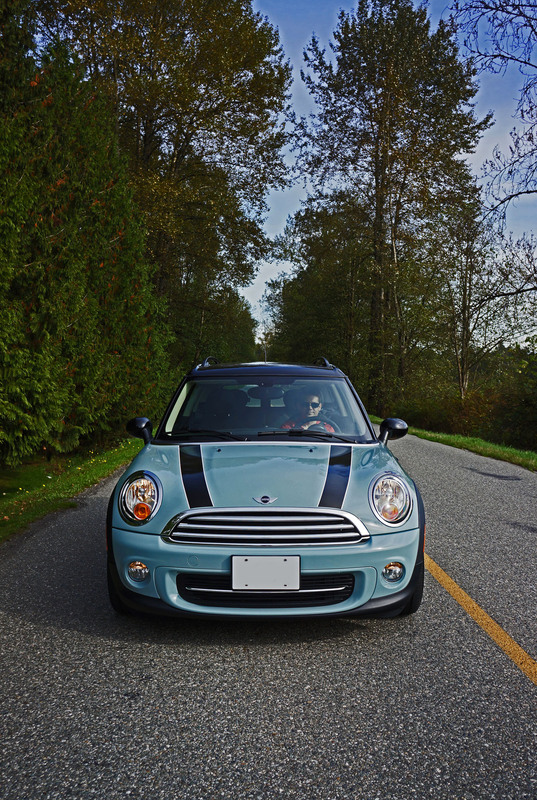 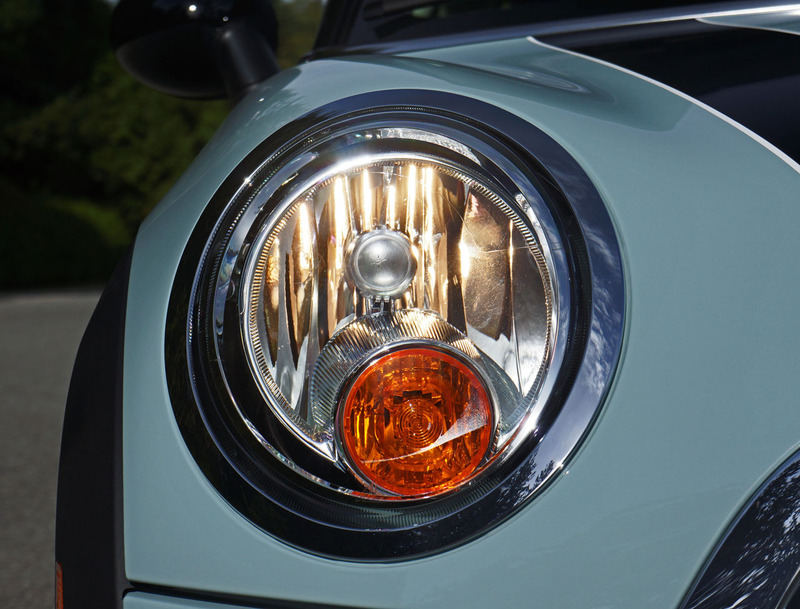 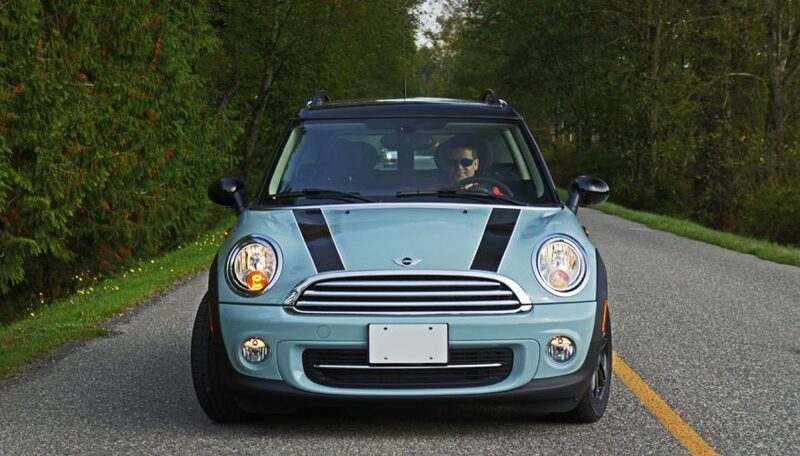 The Clubman, as we know it, is no more after 2014, and the Cooper Clubman I recently drove is one of the last of its kind available anywhere. 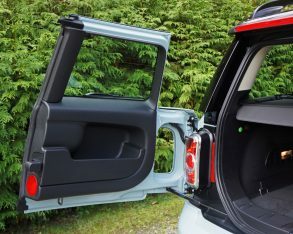 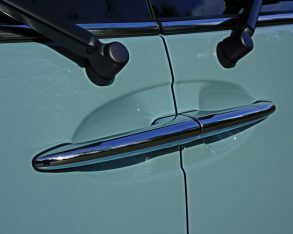 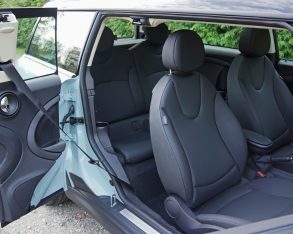 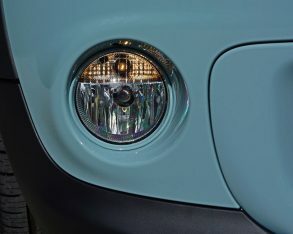 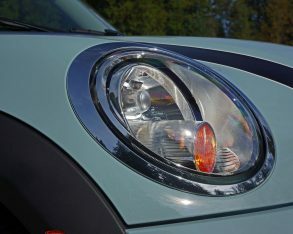 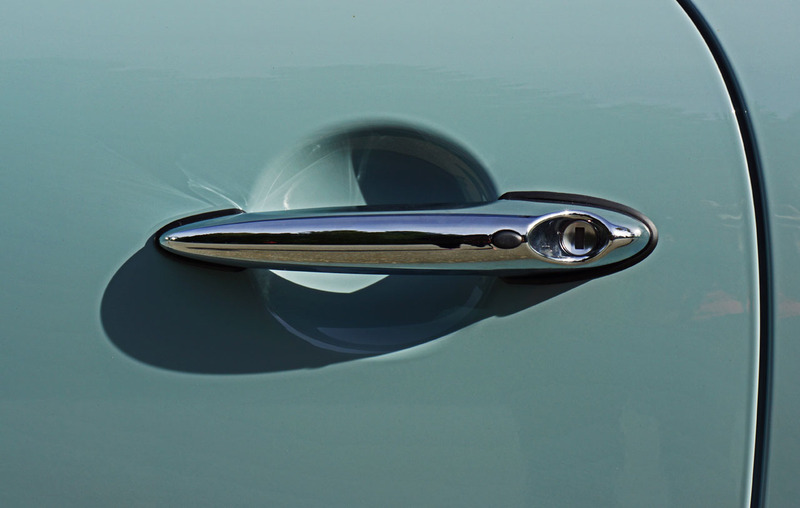 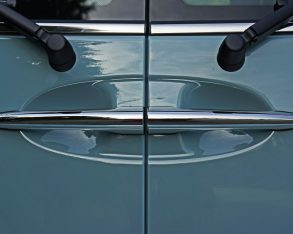 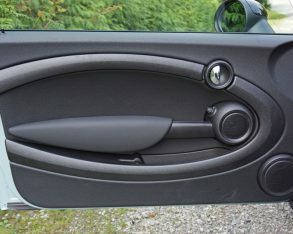 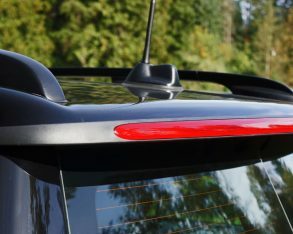 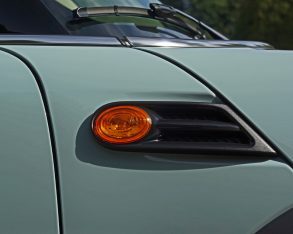 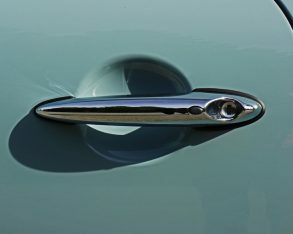 Don’t get me wrong, the Clubman name will likely resurface soon, something we can feel confident about since Mini showed the Clubman Concept at last year’s Geneva motor show, but in Mini’s quest to pull in yet more buyers by “unquirkying” itself, the new Clubman will get four regular side doors instead of this outgoing model’s three-door layout. 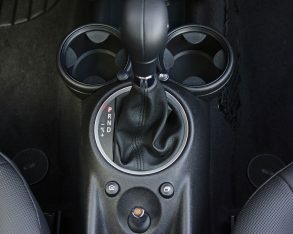 more difficult in my experience and they look wonderfully unusual, so I’m a big fan. 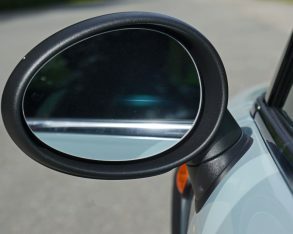 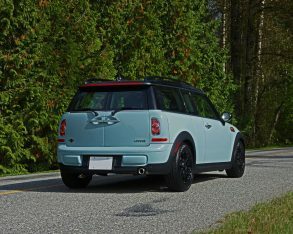 While 240 millimeters (9.4 inches) lengthier overall, the Clubman’s longer 2,547 mm wheelbase, which stretches 80 mm (3.1 inches) beyond the old 2013 Hardtop (that still measures the same as the current Convertible, Coupe and Roadster) and just 52 mm (2.0 inches) longer than the new Hardtop, helps it track better on the highway and through long sweeping curves while making it smoother over rough roads. 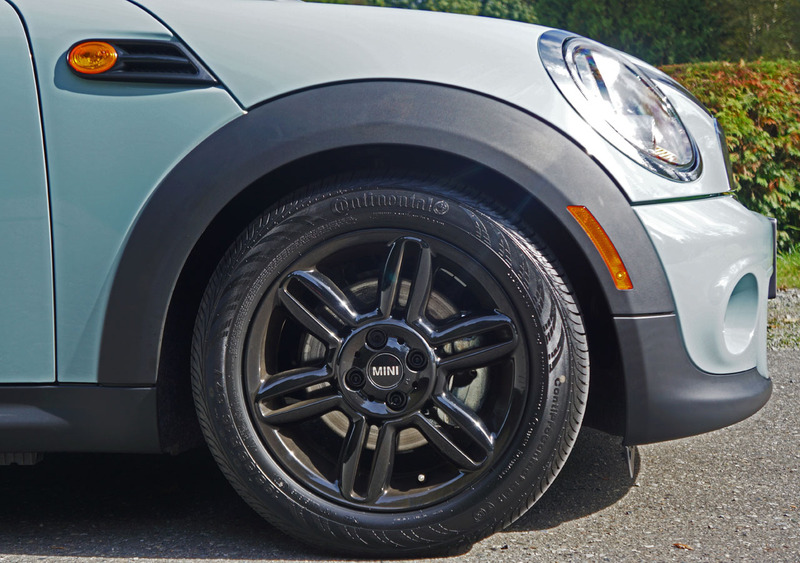 horsepower and 114 lb-ft of torque, every ounce counts. 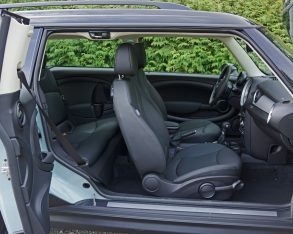 Still, the Clubman hits the scale at a svelte 1,230 kilograms (2,712 lbs) with its six-speed manual and 1,265 kg (2,789 lbs) with the as-tested six-speed automatic, so it’s not like the wee engine is forced to work too hard no matter what you ask it to do. 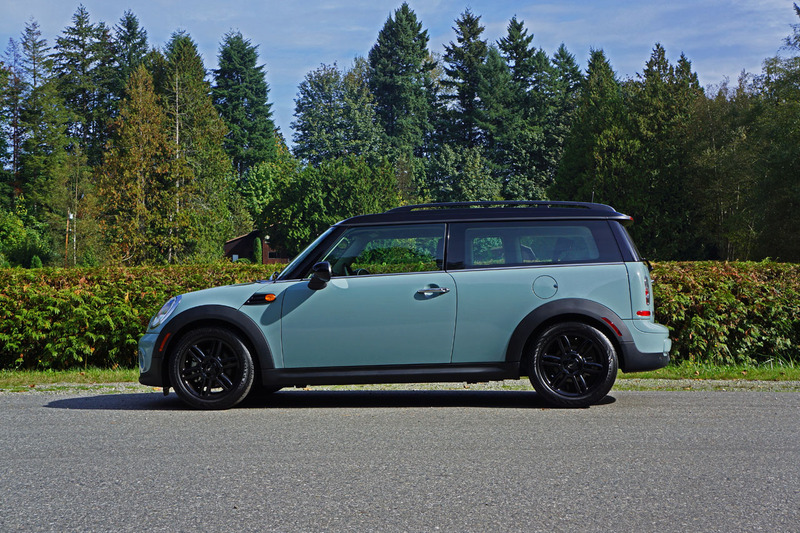 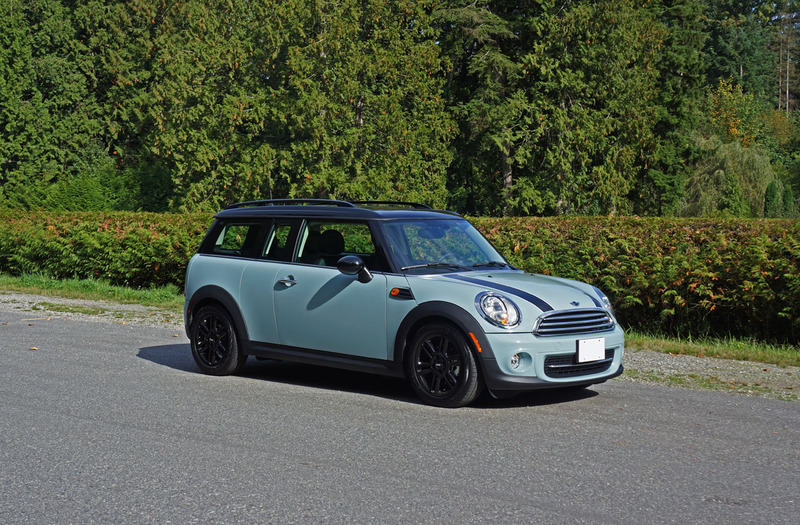 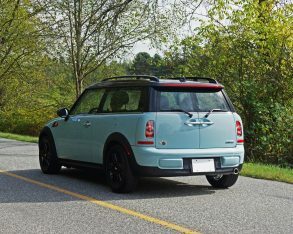 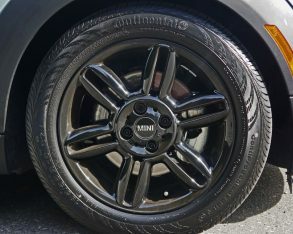 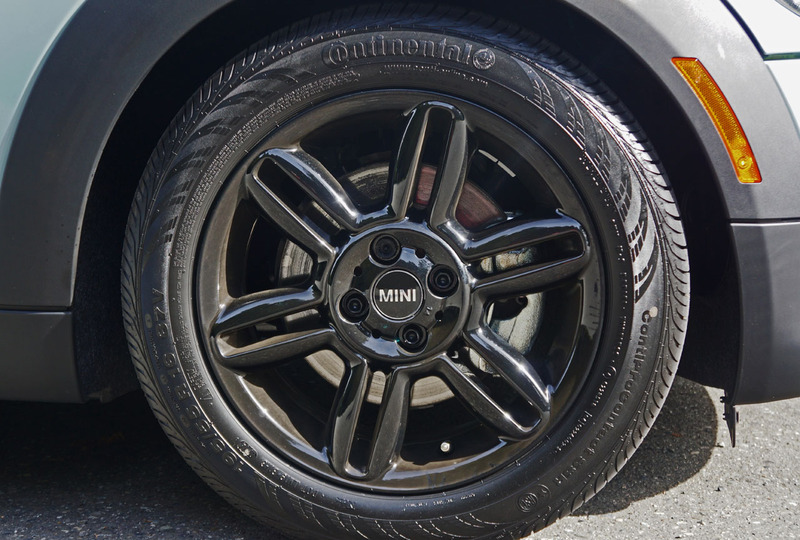 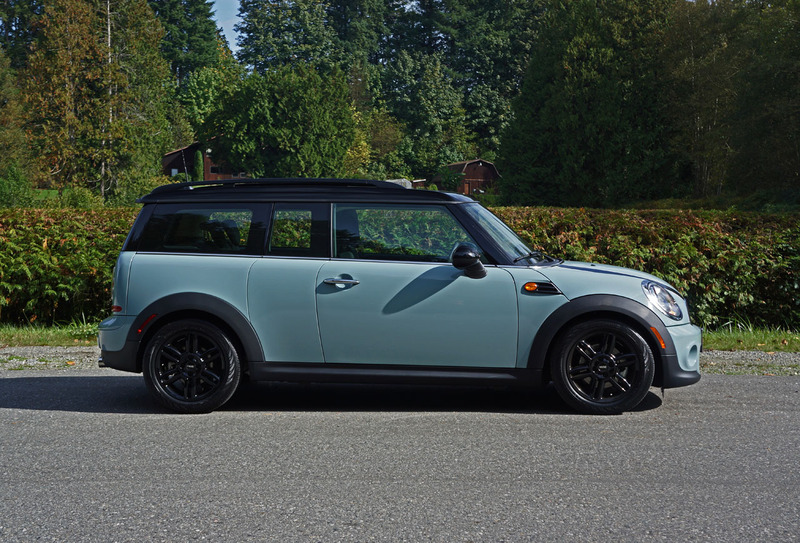 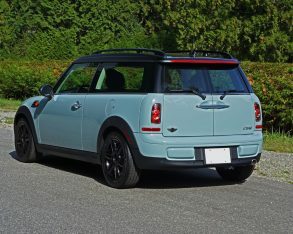 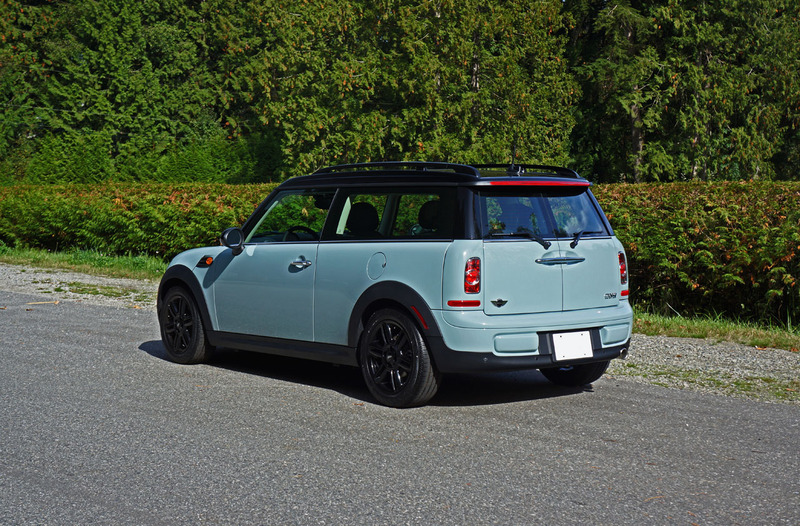 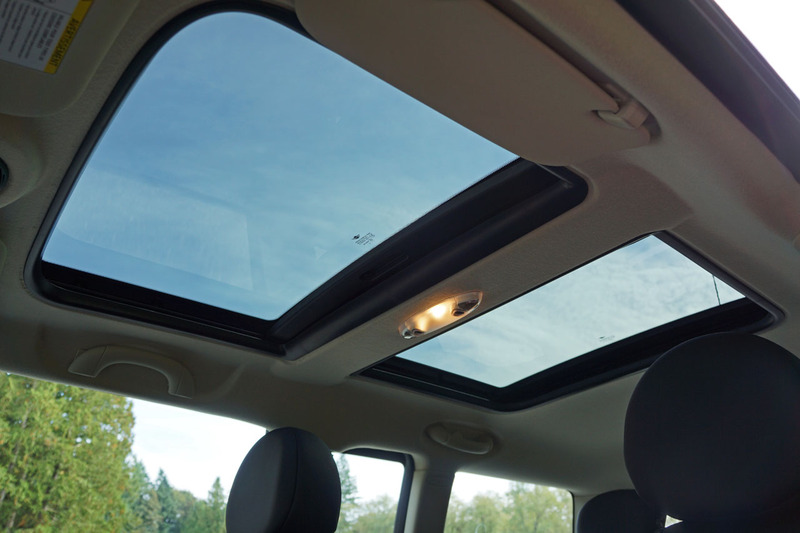 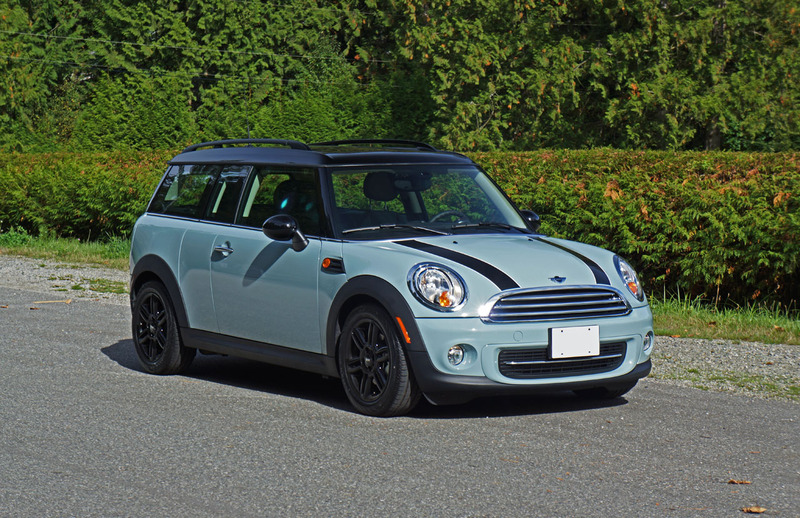 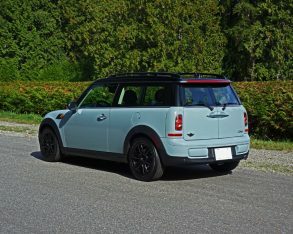 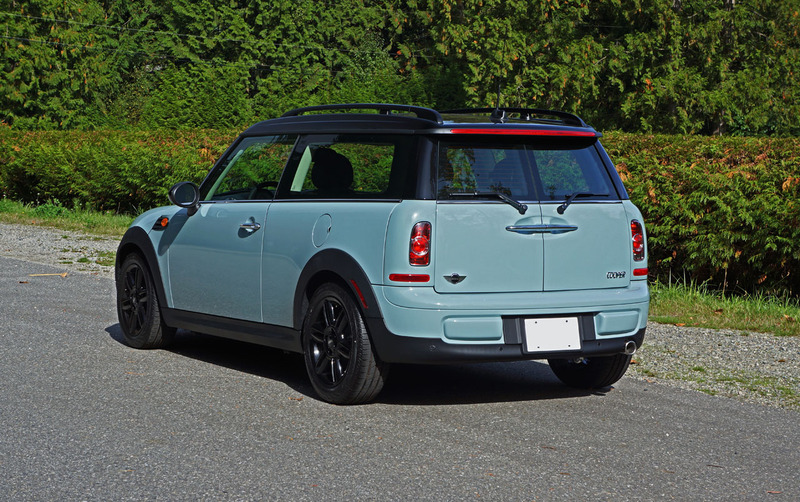 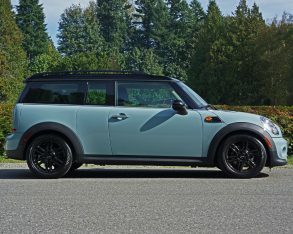 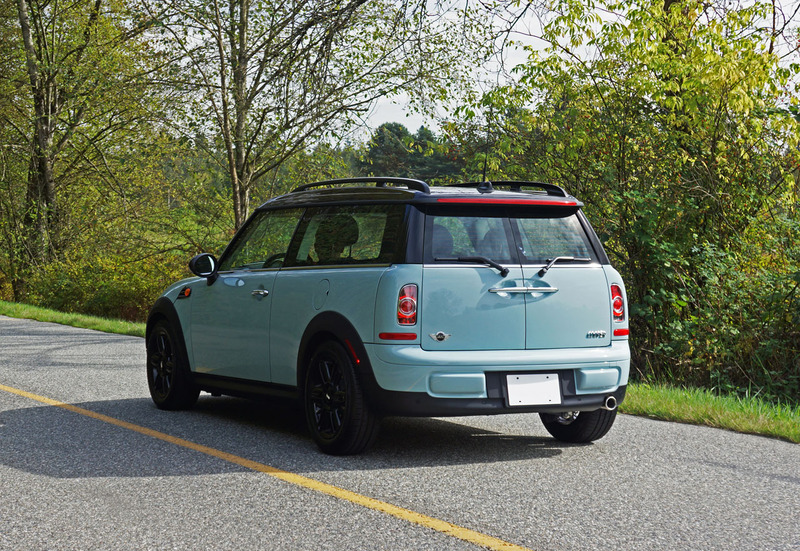 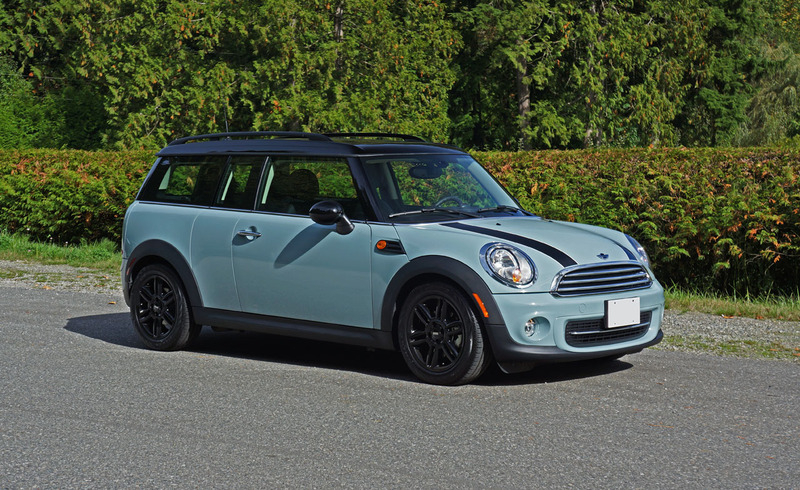 Hardtop, the Clubman’s structure is ultra-rigid, which is no doubt one of the key reasons it not only stays planted to the pavement, but also why its suspension system has been allotted ample wheel travel to always feel comfortable while doing so. 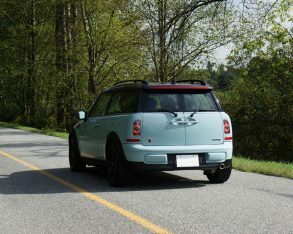 Even on rough country roads it never caused a commotion mid-corner where more firmly sprung competitors tend to bounce and jostle in their quest for traction. 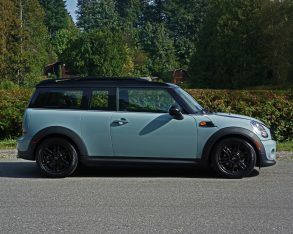 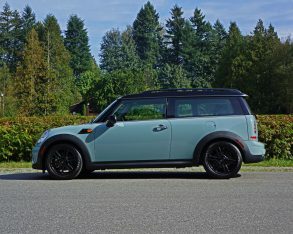 No, the Mini simply maintains its grip, which is what makes it such a bundle of fun to play with. 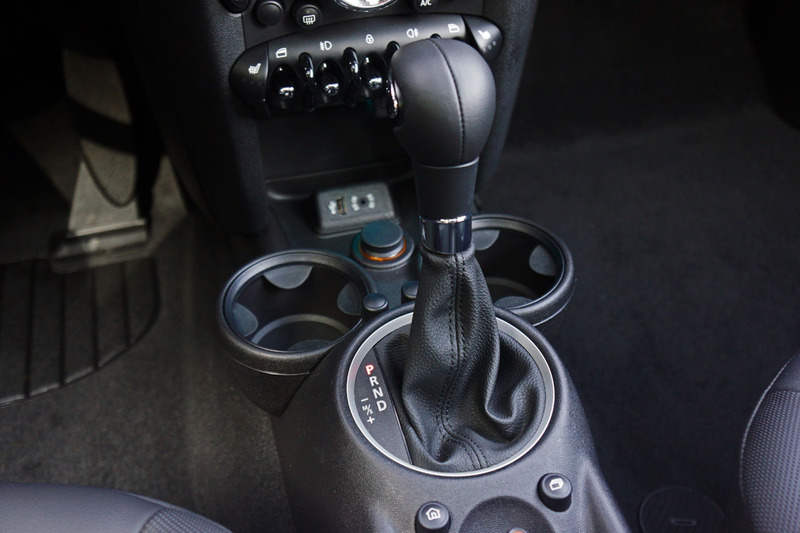 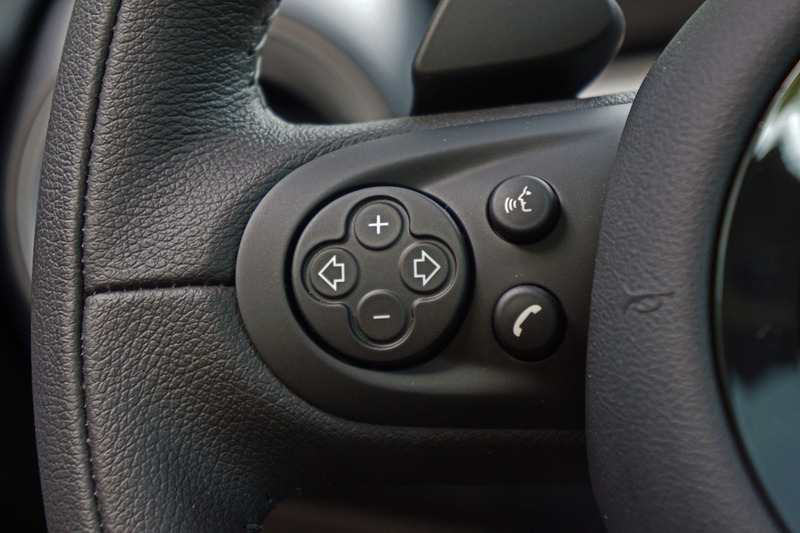 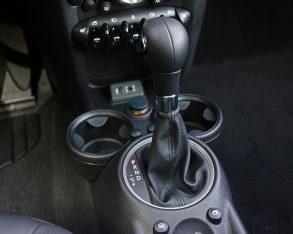 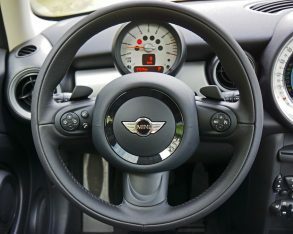 or on the steering wheel by way of spoke-mounted paddles. 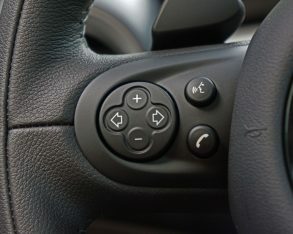 Rowing through the cogs was helpful for maintaining total control during quick cornering, not to mention very useful for short shifting in order to save fuel. 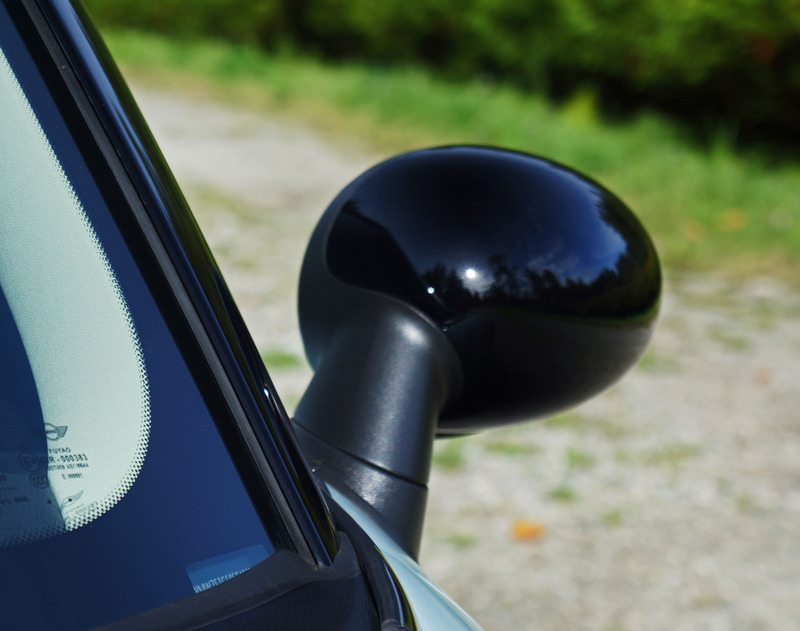 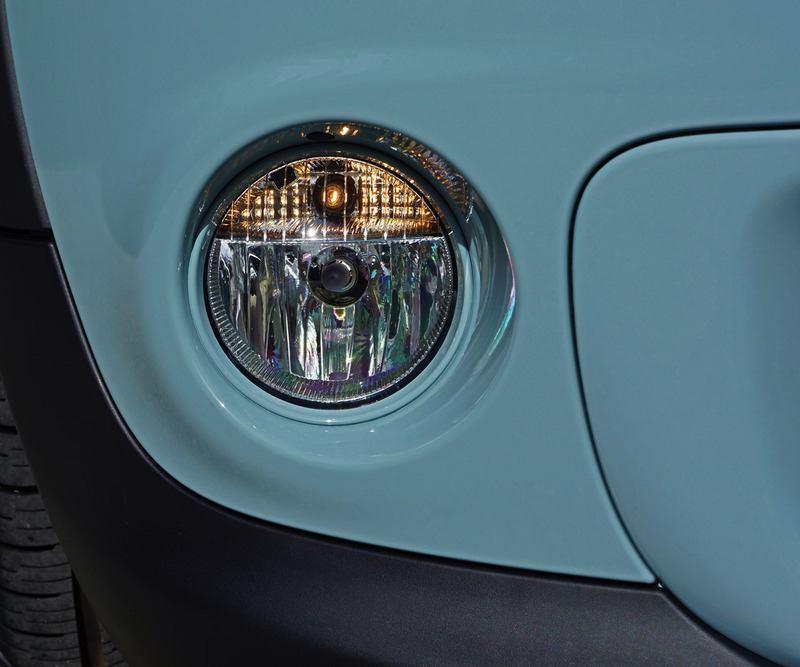 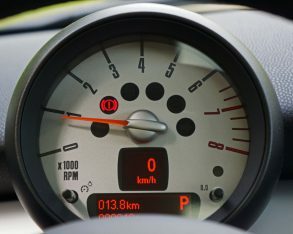 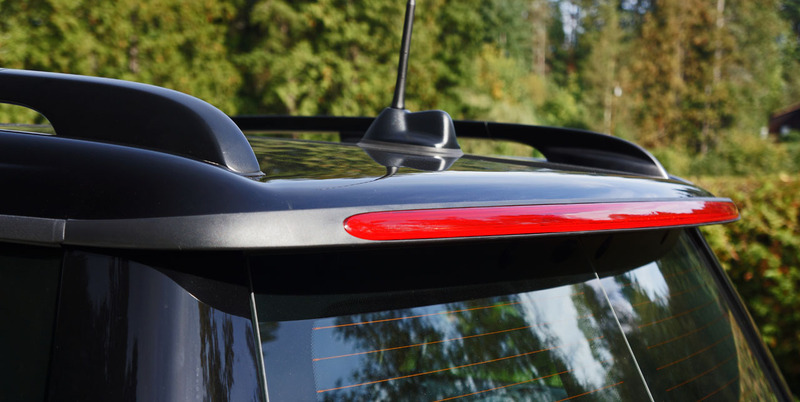 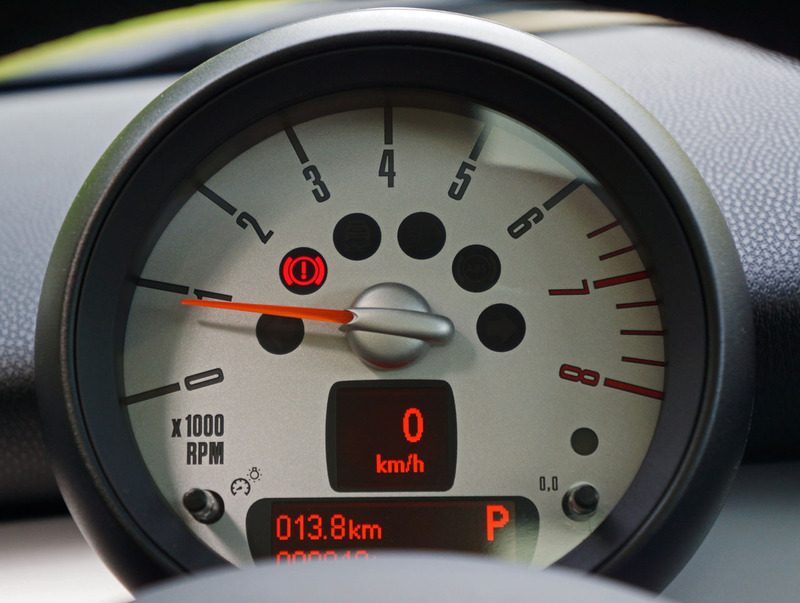 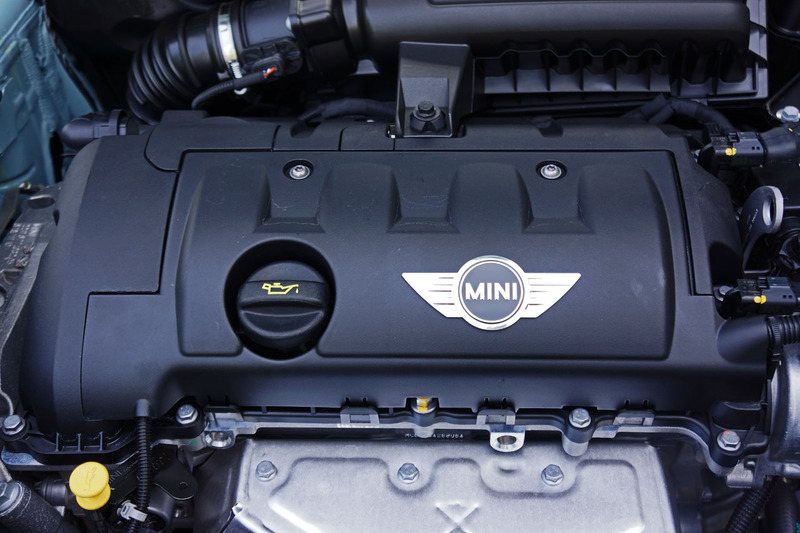 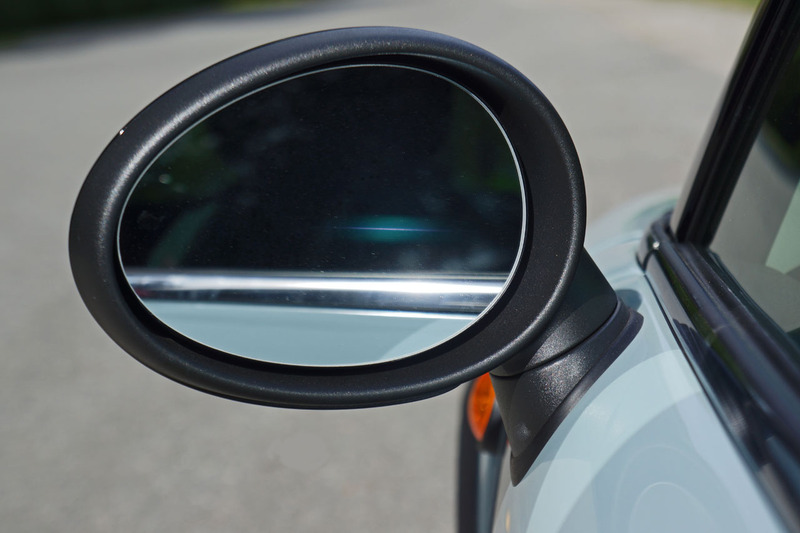 This last point brings up one of Mini’s most endearing traits, fuel economy. 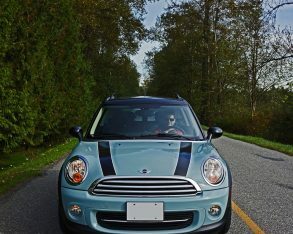 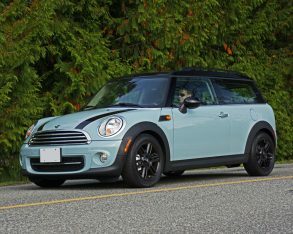 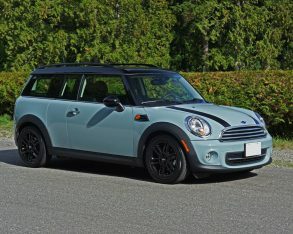 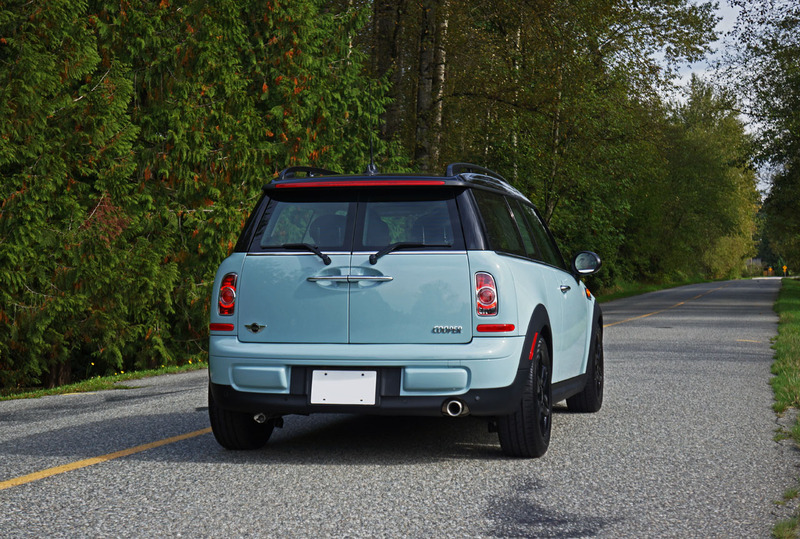 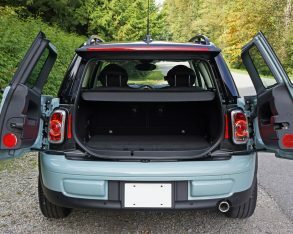 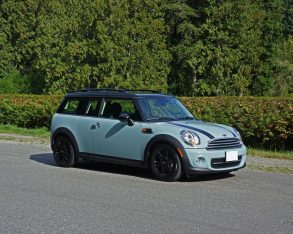 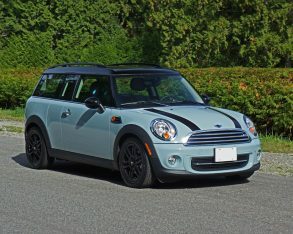 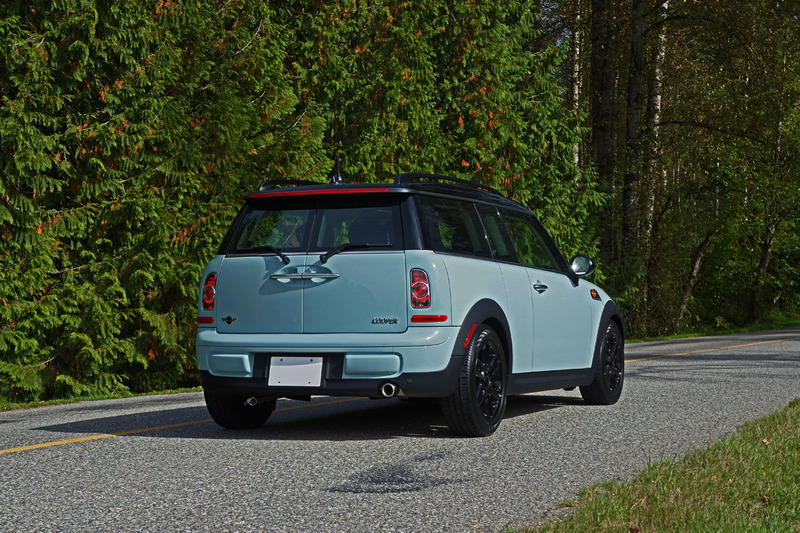 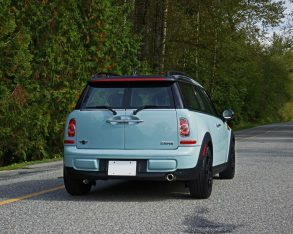 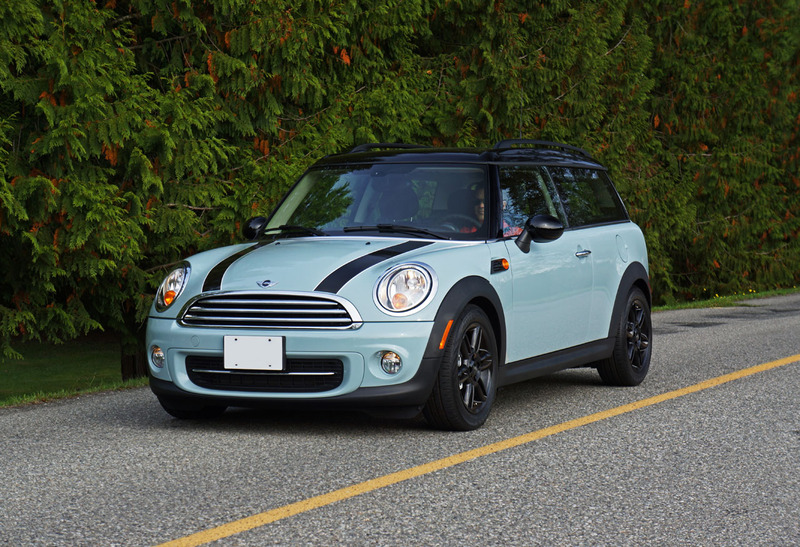 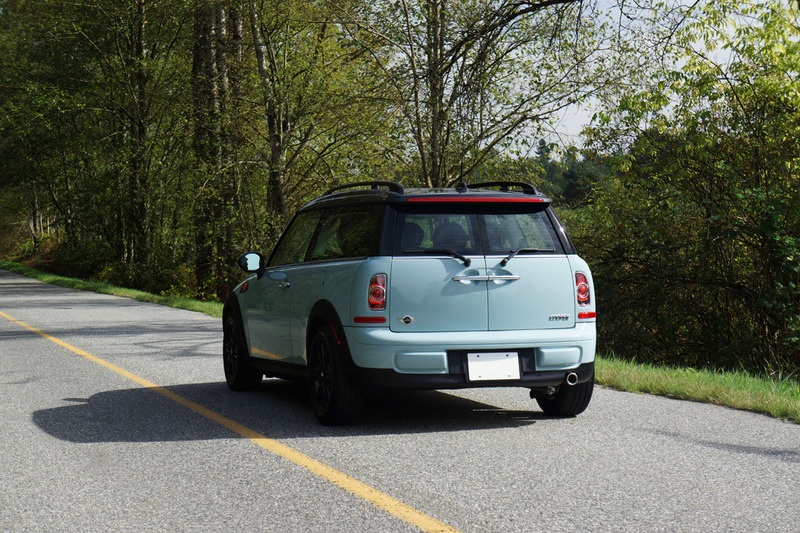 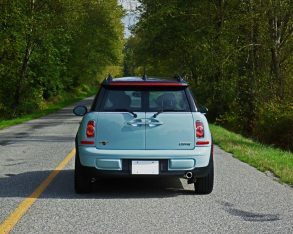 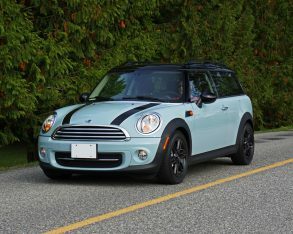 The Clubman is a skinflint at the pump, its Transport Canada rating just 7.4 L/100km in the city, 5.7 on the highway and 6.6 combined for the manual, or 7.6 city, 5.6 highway and 6.7 combined for the automatic. 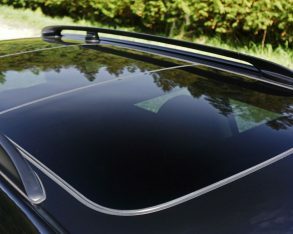 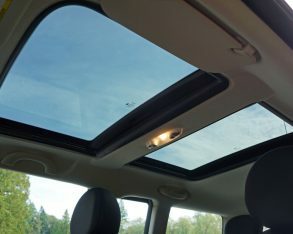 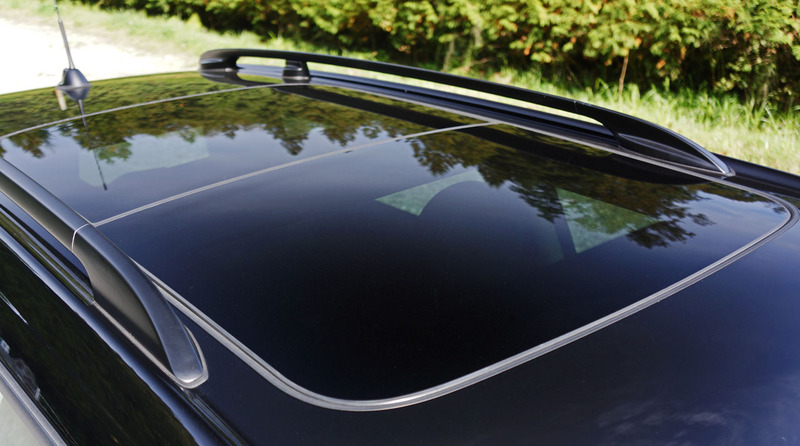 glass sunroof, plus front and rear fog lights. 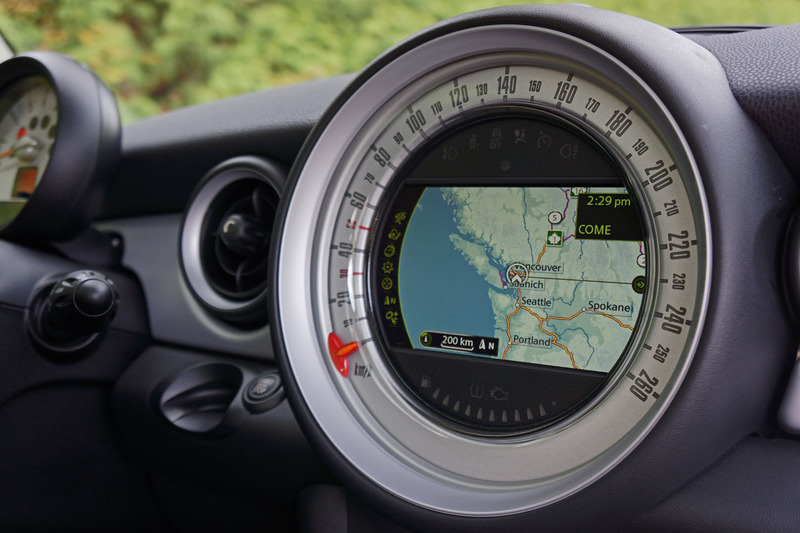 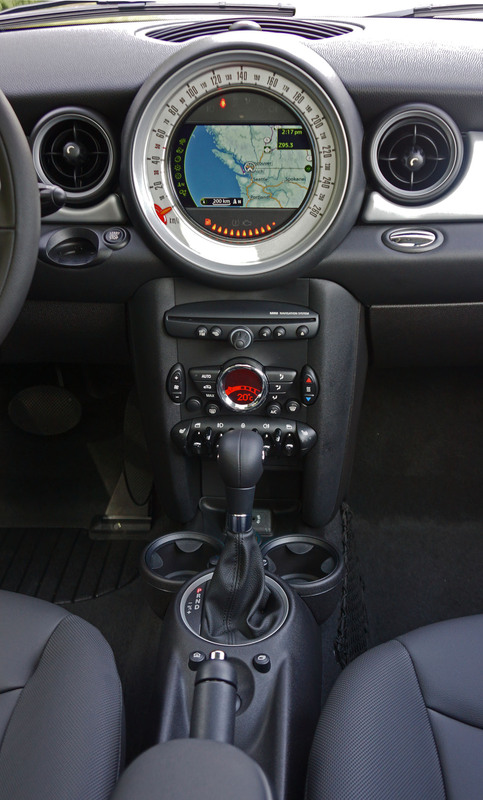 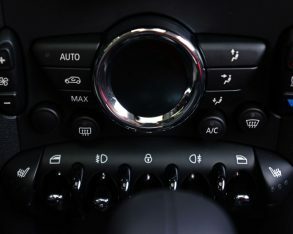 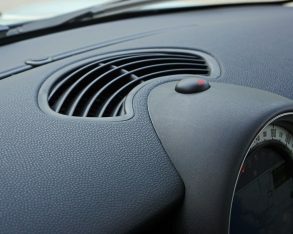 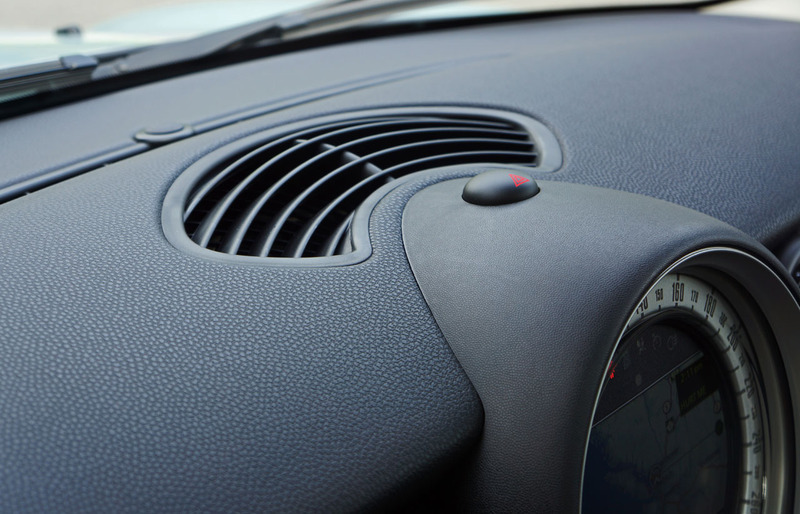 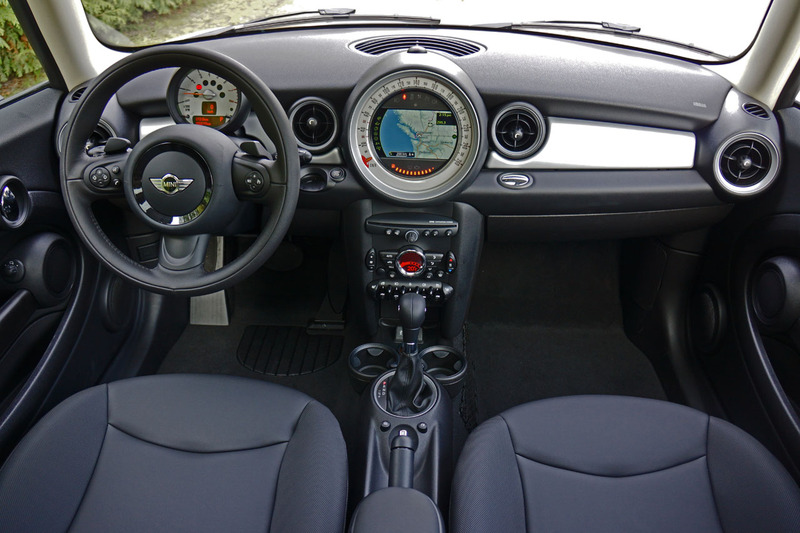 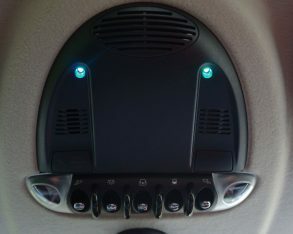 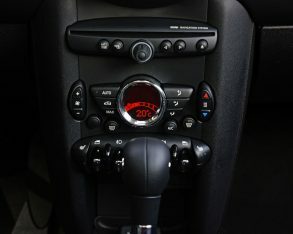 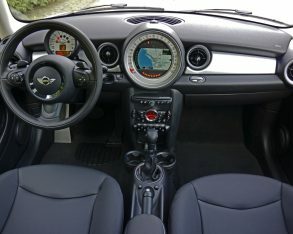 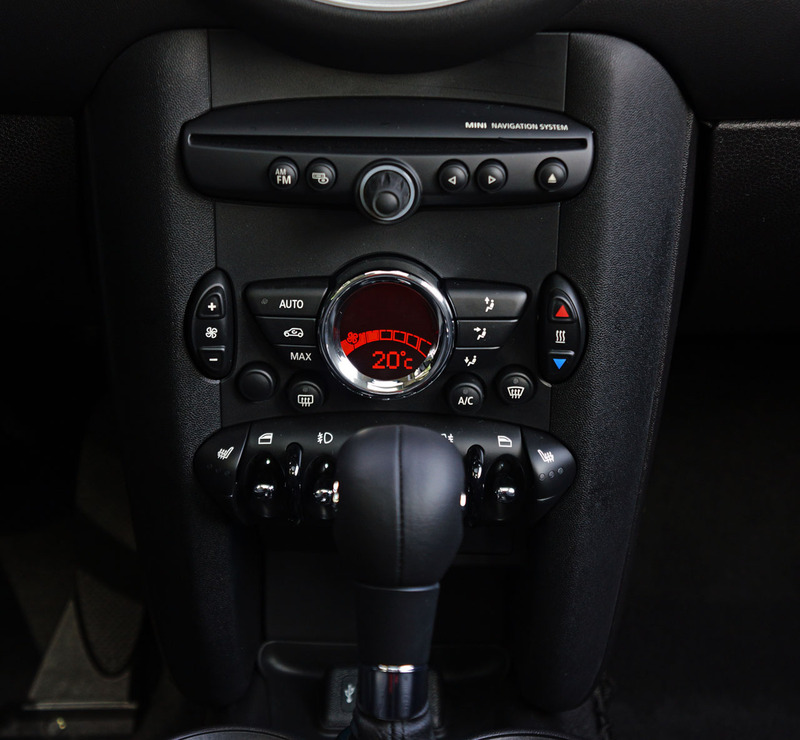 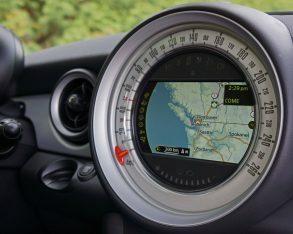 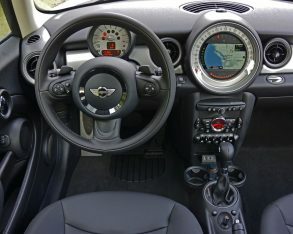 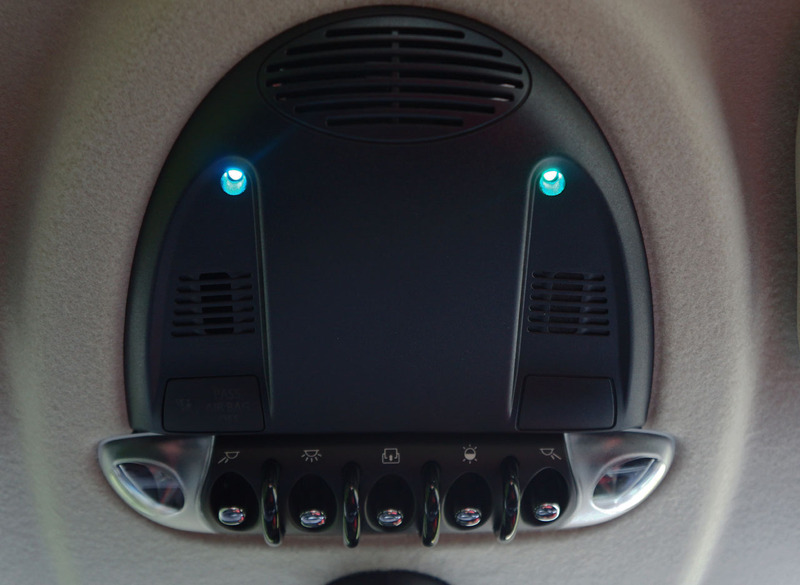 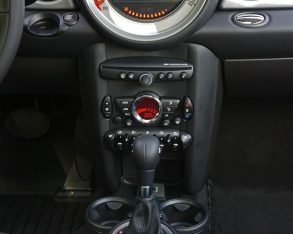 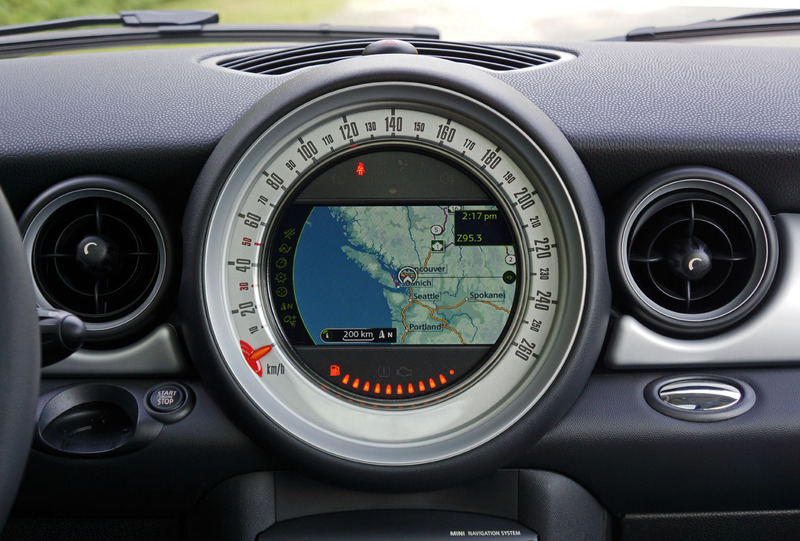 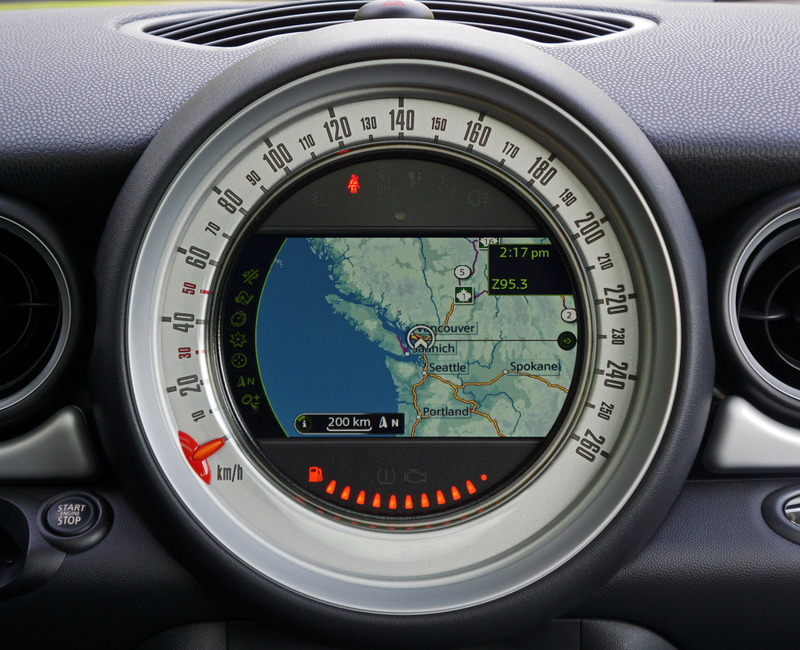 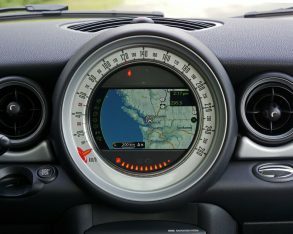 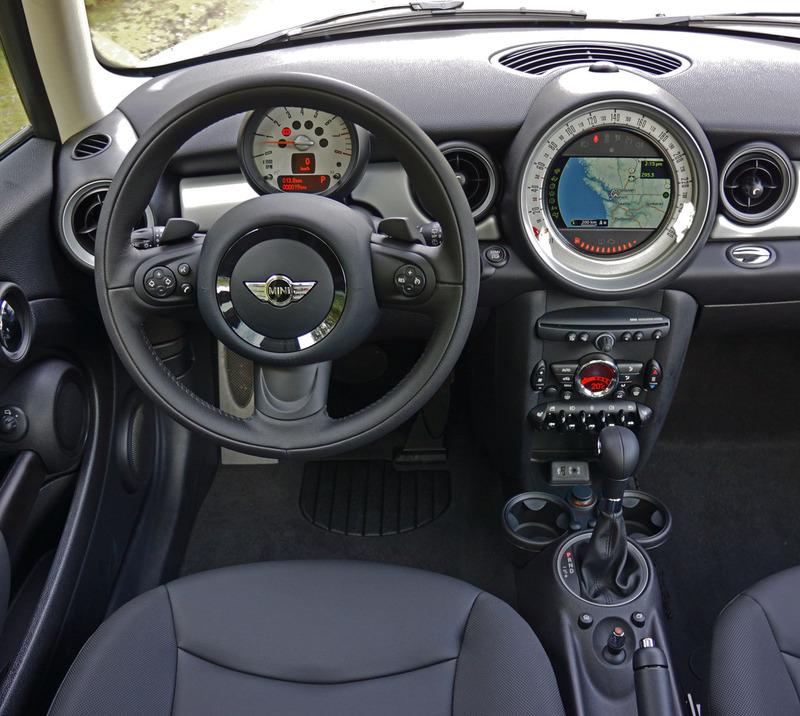 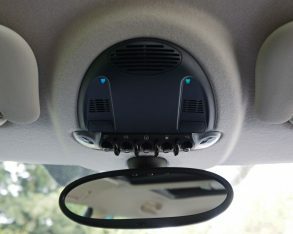 Next on the list was the Wired Package, which adds USB and Bluetooth audio streaming, smartphone integration, voice recognition, Mini Connected (which is one of the best infotainment systems available today, especially if you’re pairing up an iPhone), and a navigation system, all housed within an ultra-large central speedometer pod which features a needle that circles around the outside of the infotainment display for some serious wow factor. 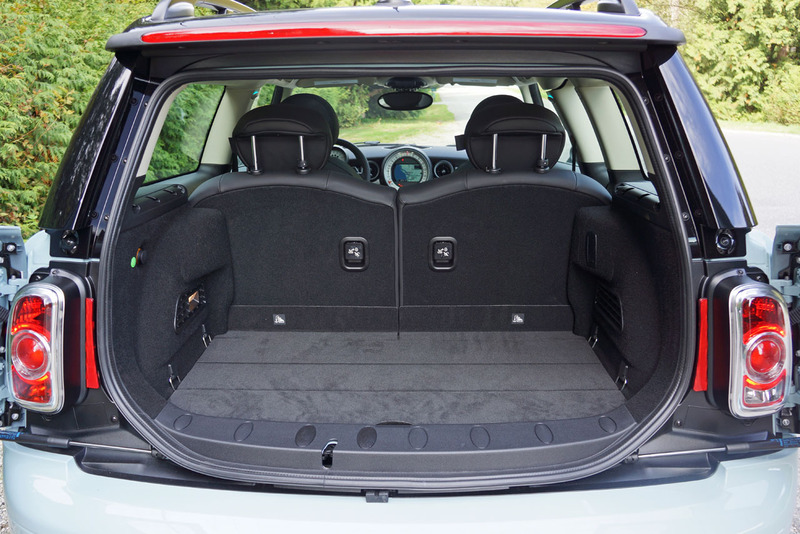 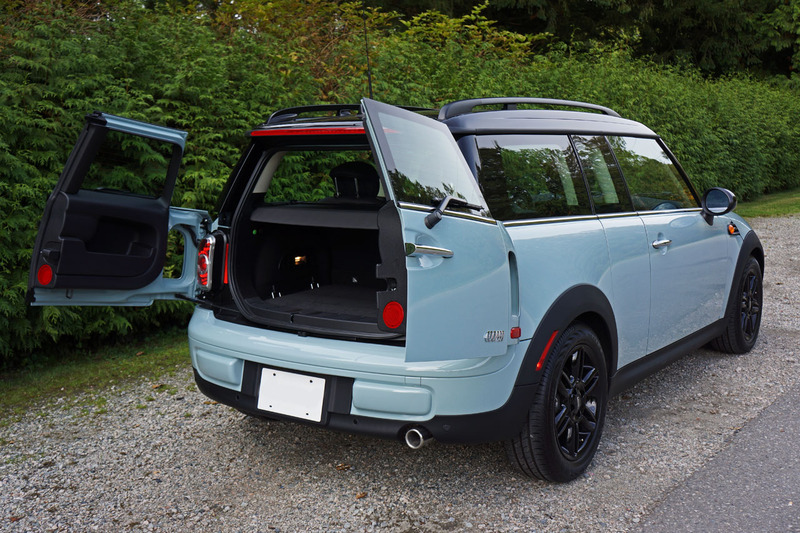 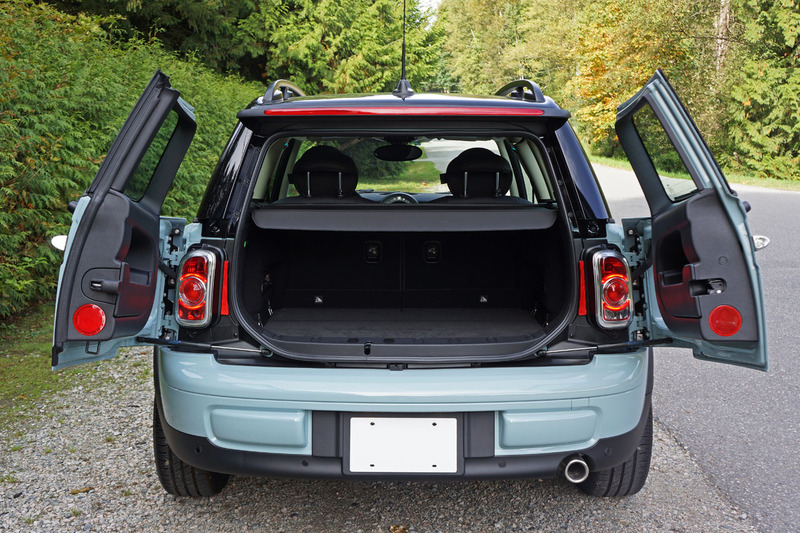 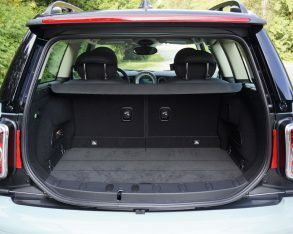 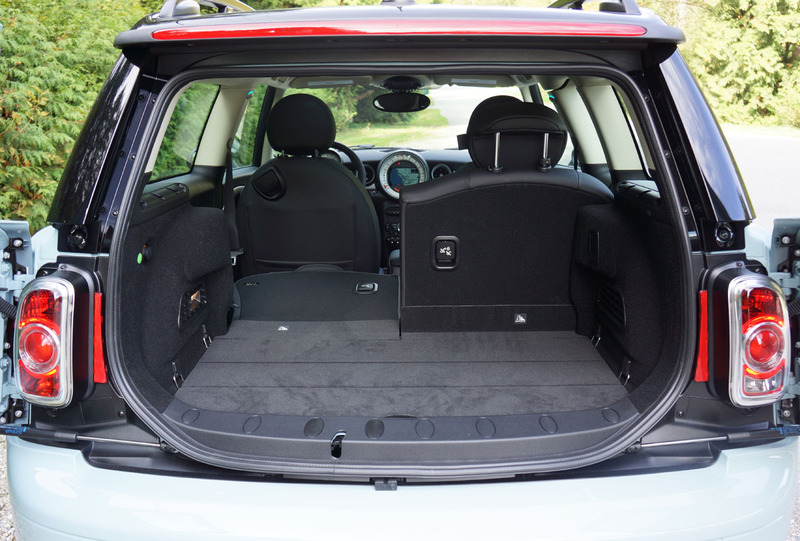 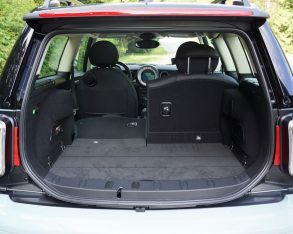 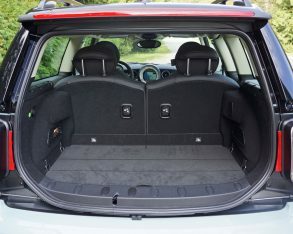 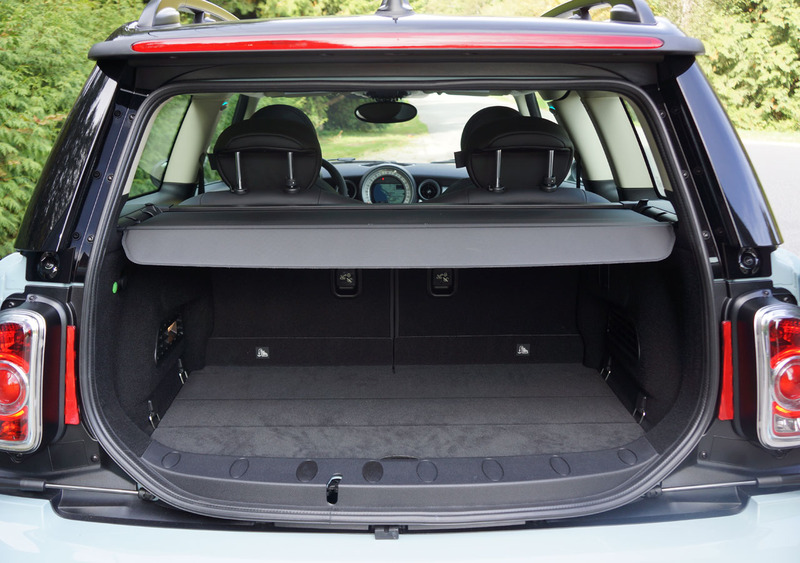 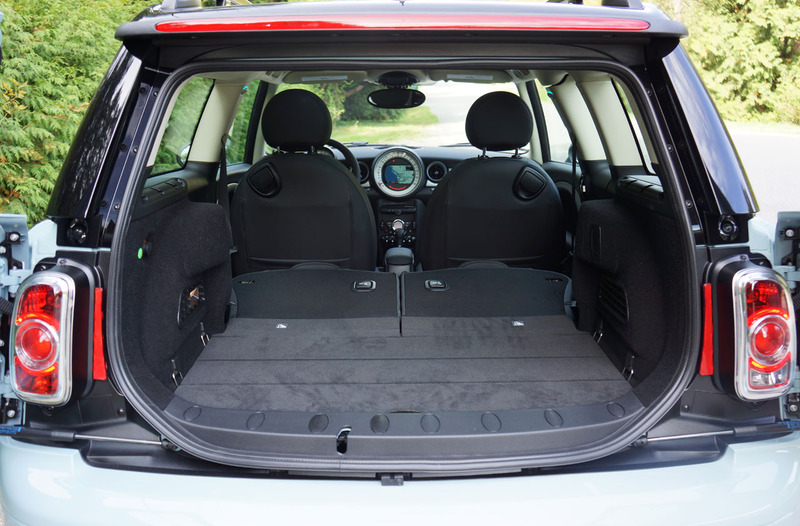 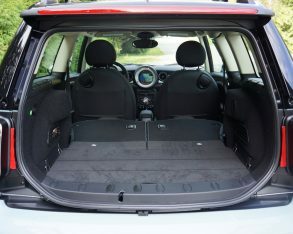 Lastly, my Clubman tester came with a Travel Package that adds a set of roof rails on top plus a flat loading floor. 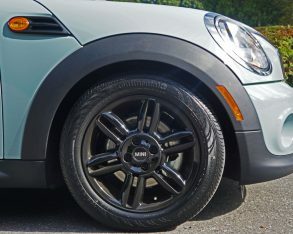 My tester also featured a cool looking black gloss treatment on its base 16-inch rims, which matched up nicely with its black painted roof, black mirror caps and thick black twinned stripes that ran down the hood. 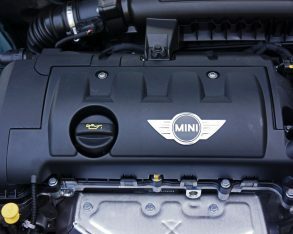 package and mentioned that it made the tiny tot seem like the offspring of a Rolls-Royce. 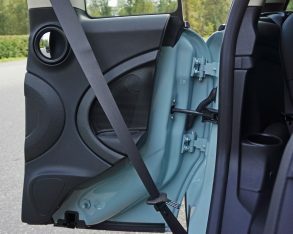 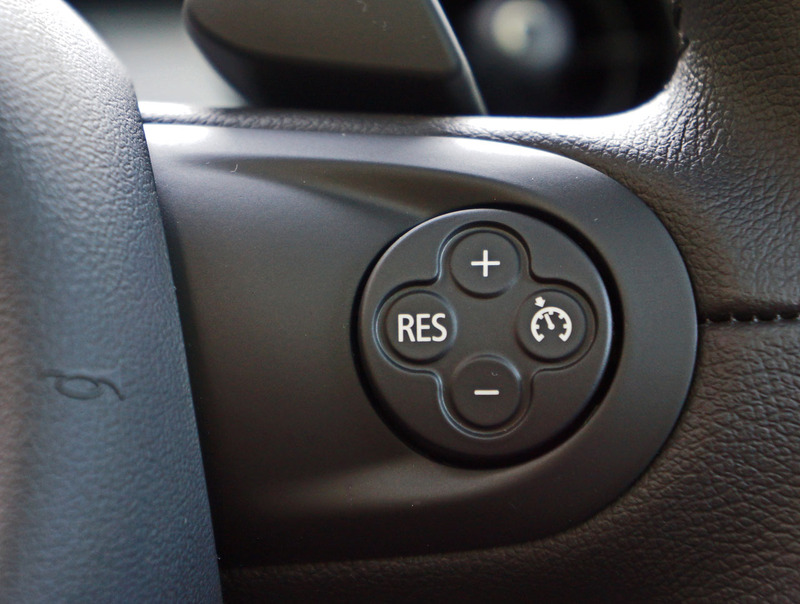 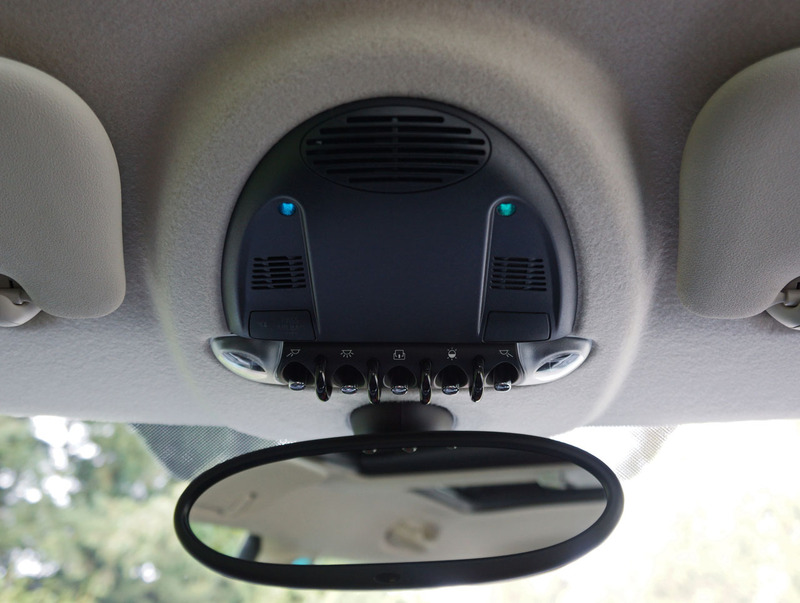 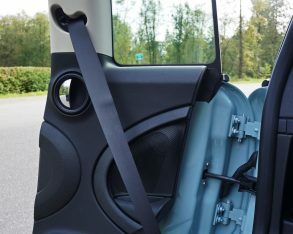 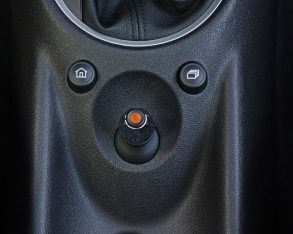 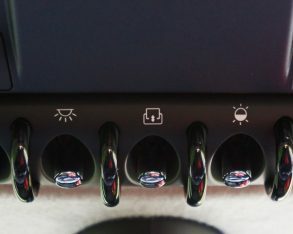 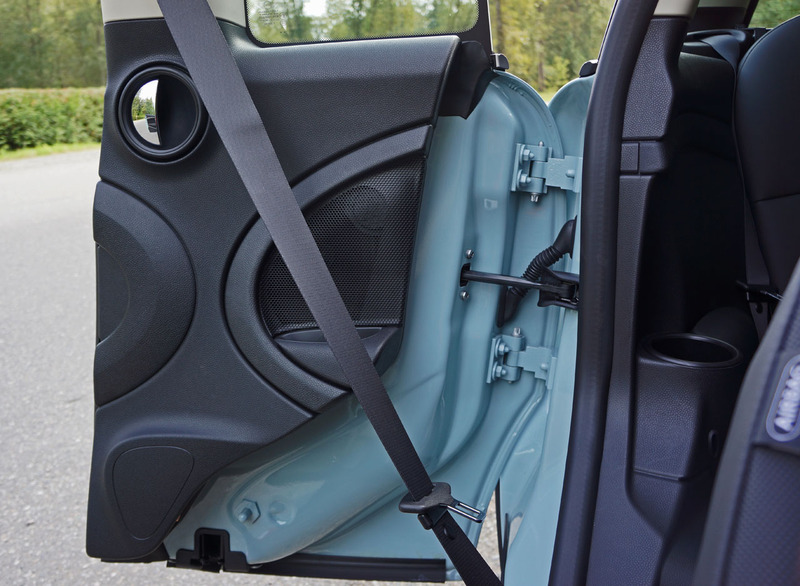 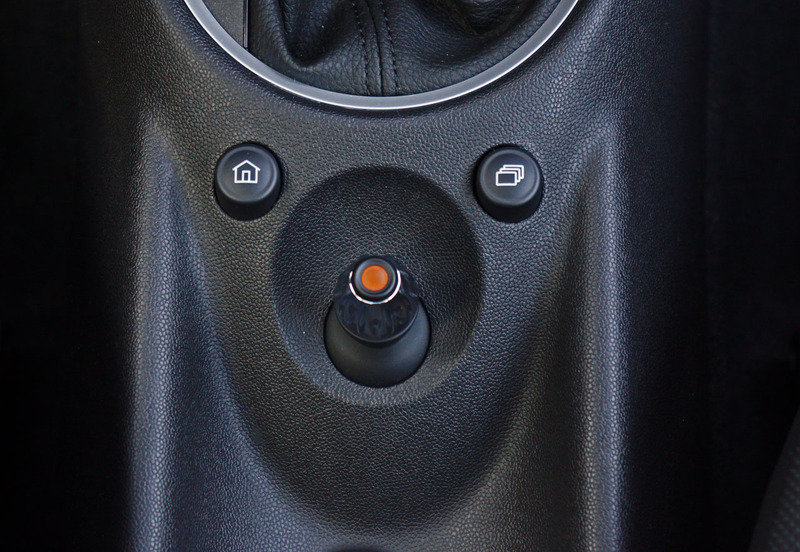 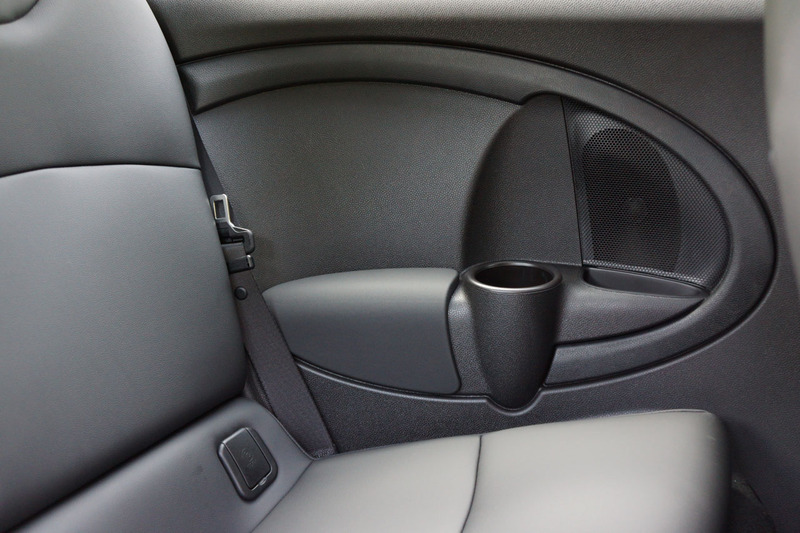 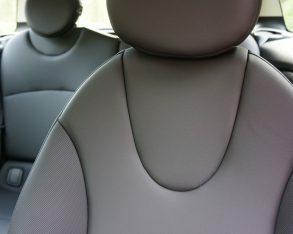 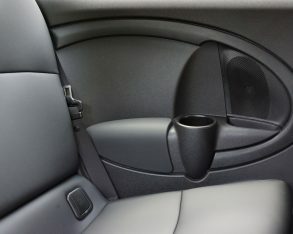 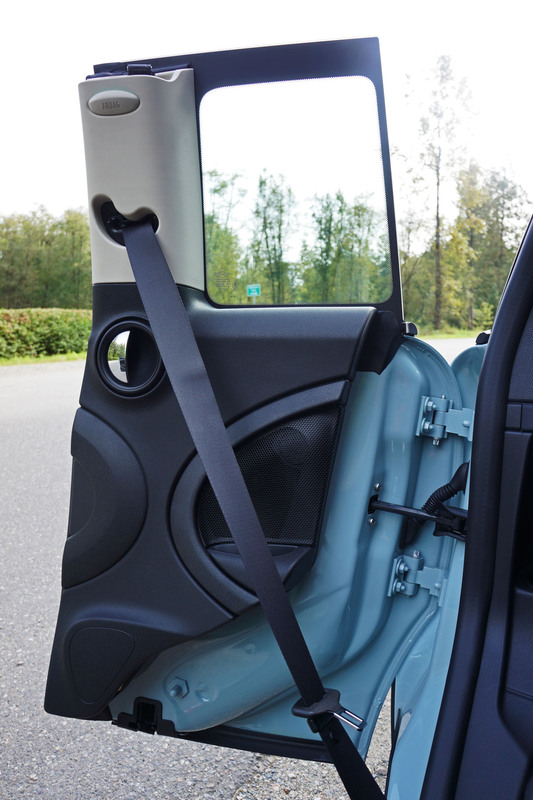 Standalone options include proximity sensing Comfort Access, a Harmon/Kardon audio upgrade, satellite radio, leather upholstery, numerous wheel and tires, and more. 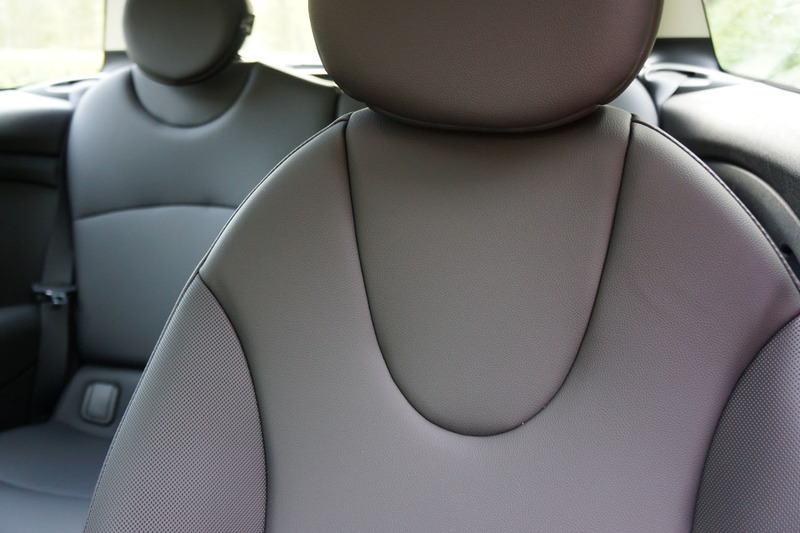 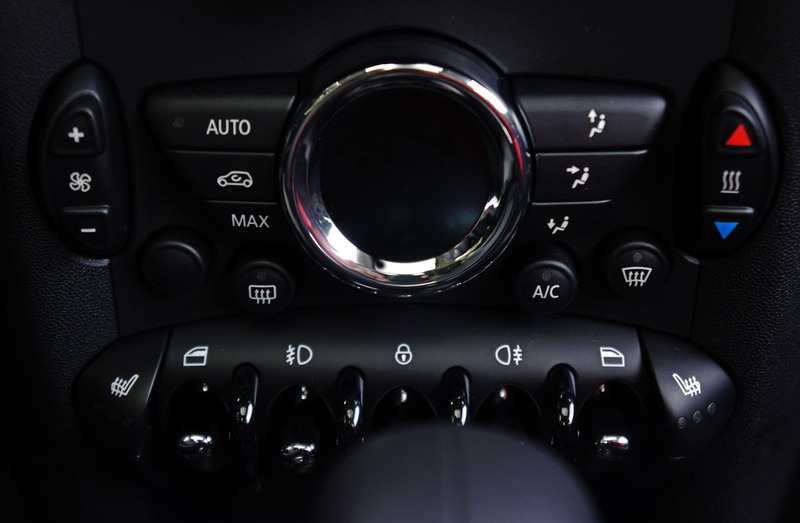 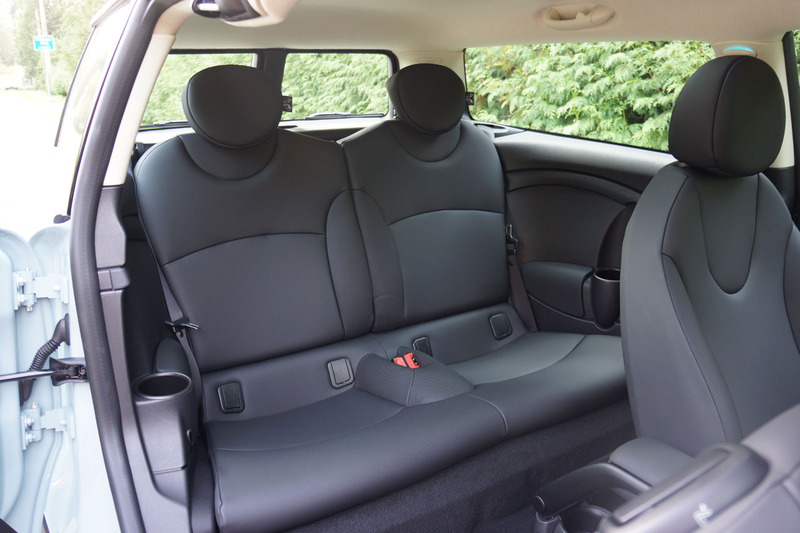 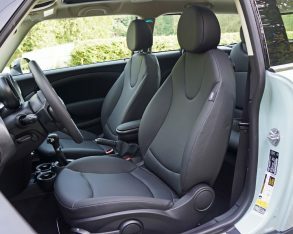 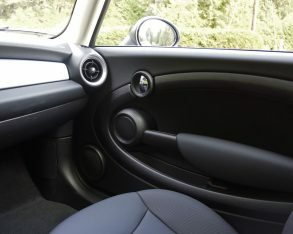 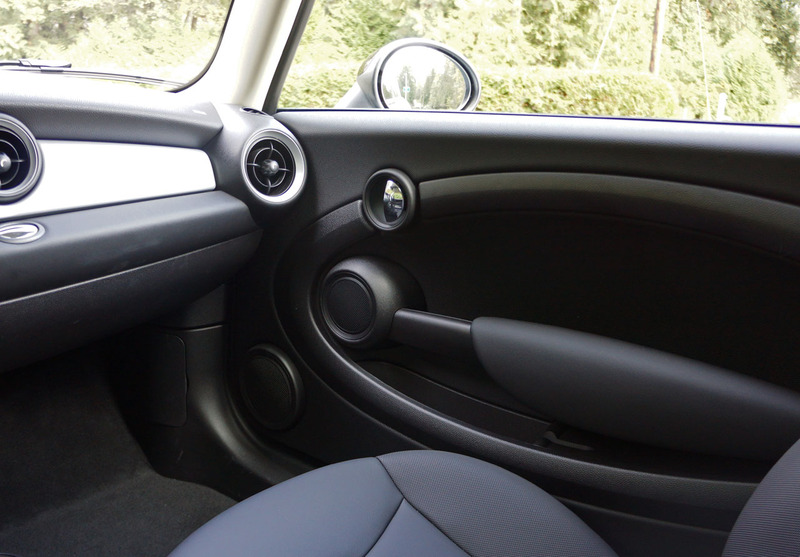 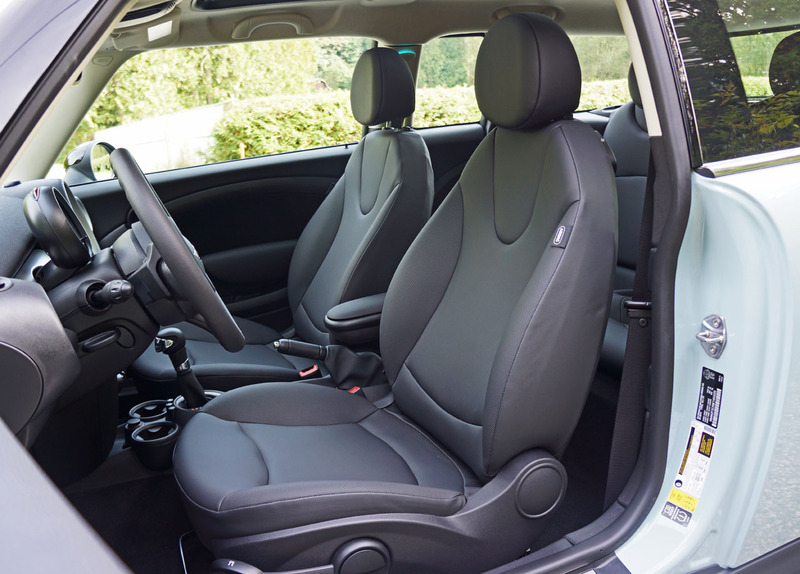 ambient lighting, black leatherette upholstery that looks just like leather, and lots of additional features expected in Mini’s near-luxury class. 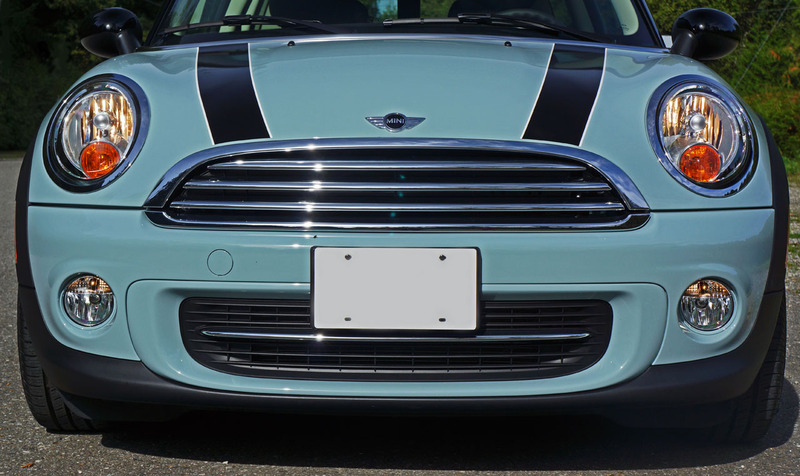 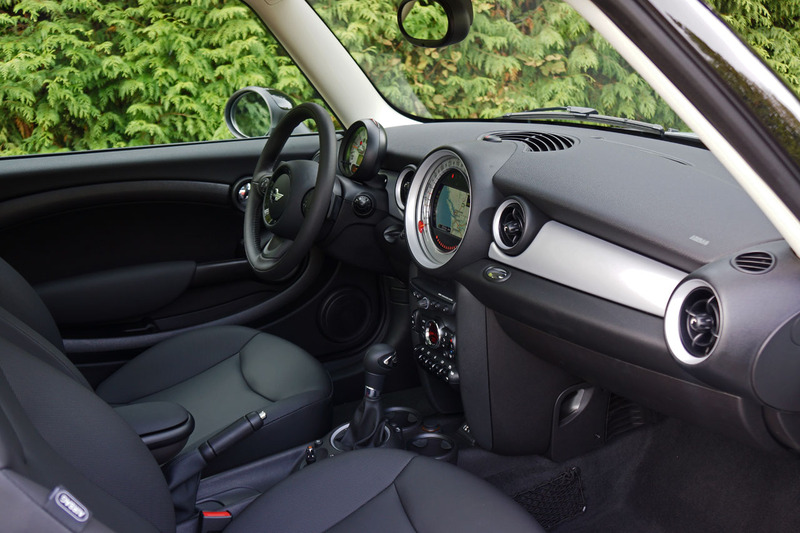 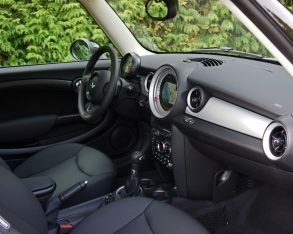 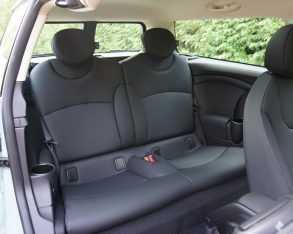 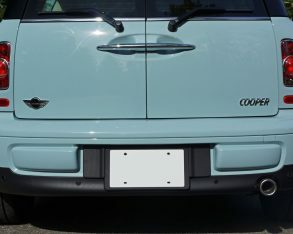 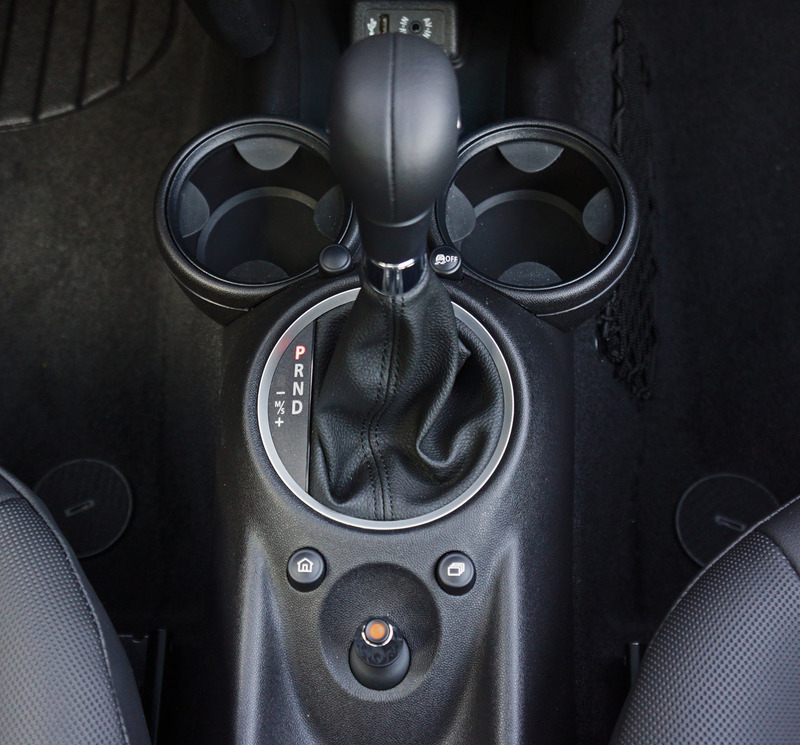 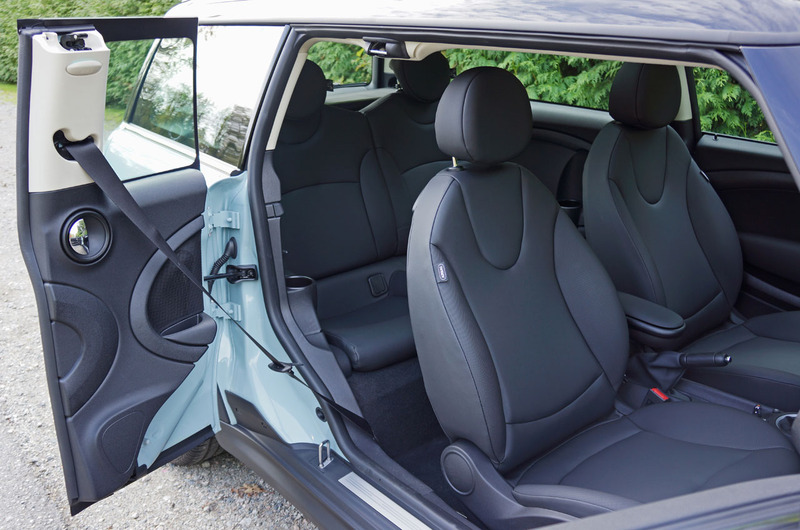 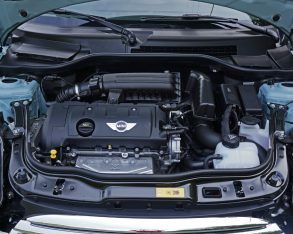 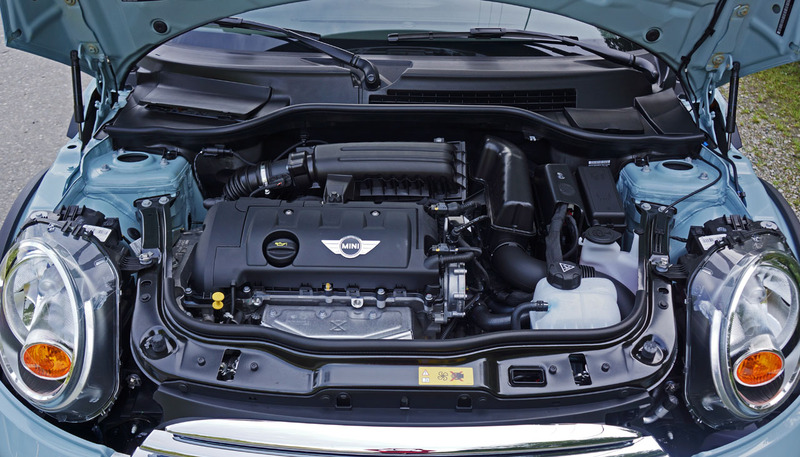 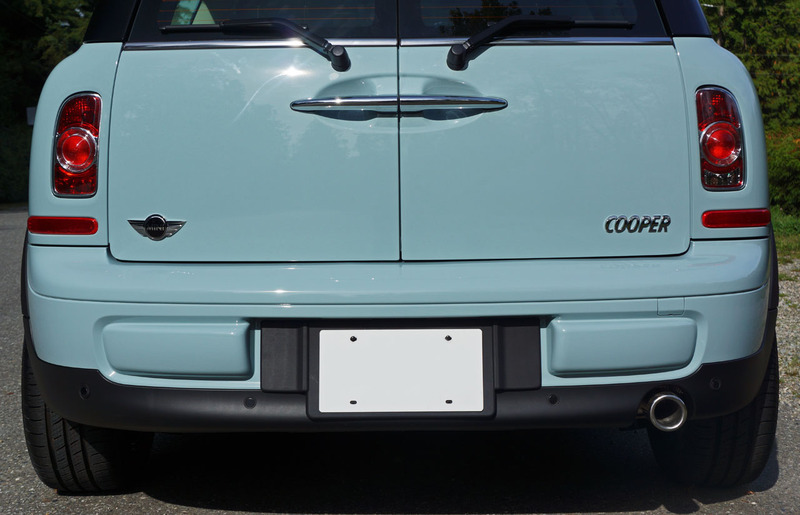 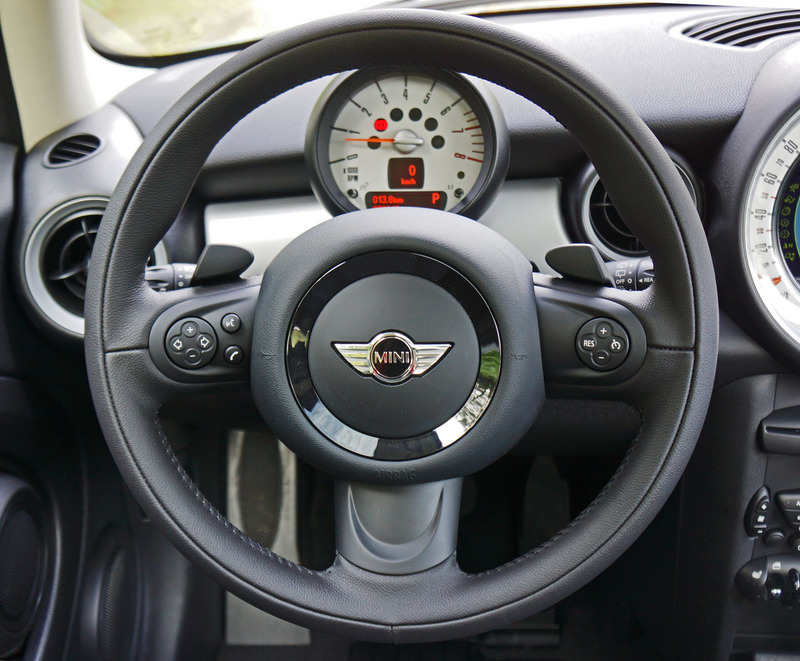 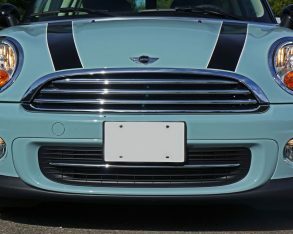 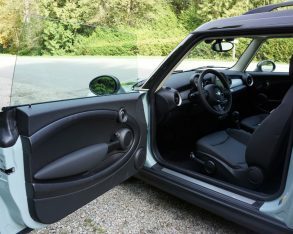 Whether you keep your Cooper Clubman basic or load on myriad options and packages, which also include the performance boost of Cooper S and John Cooper Works trims, you’ll get a comfortable little luxury car with as much fun built in as day-to-day efficiency. 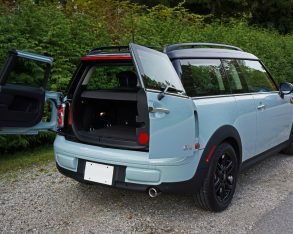 And while this brilliantly unorthodox four-door (or should we call it a five-door by including the two swinging doors on the rear?) 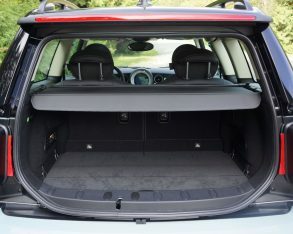 extended wheelbase Mini is on its way out, I for one look forward to seeing what Mini has in store for the Clubman of the future. 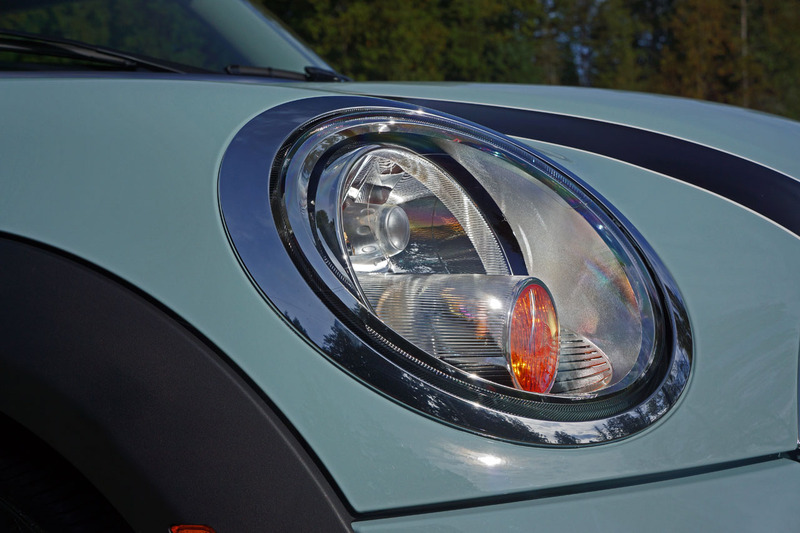 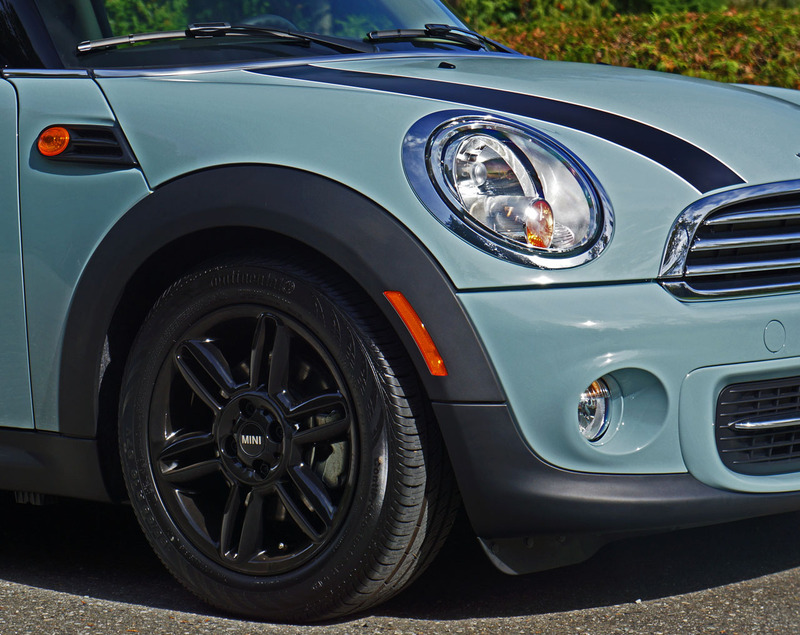 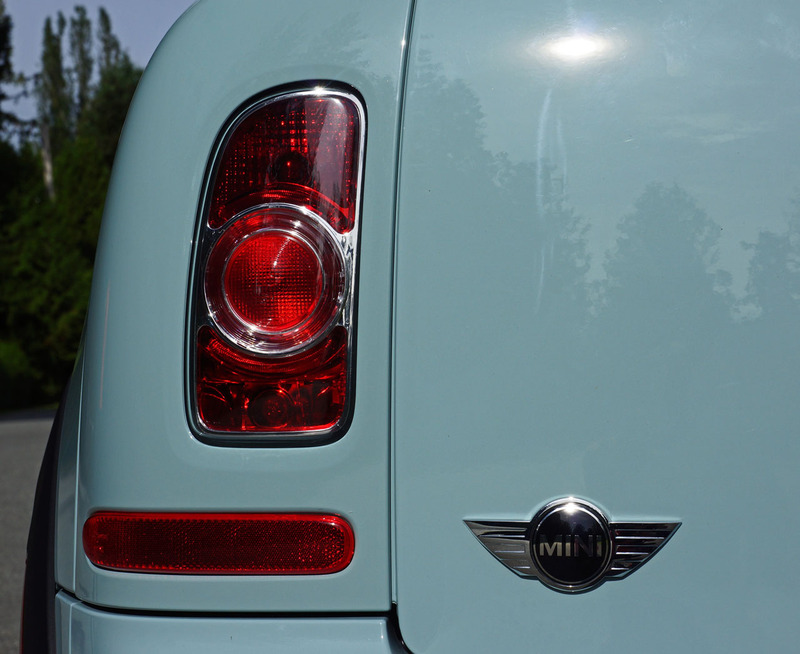 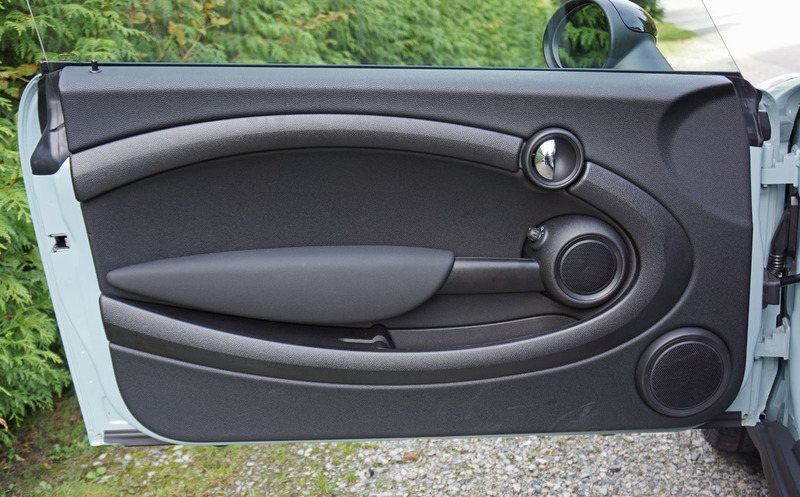 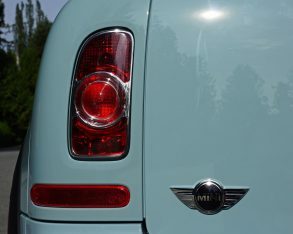 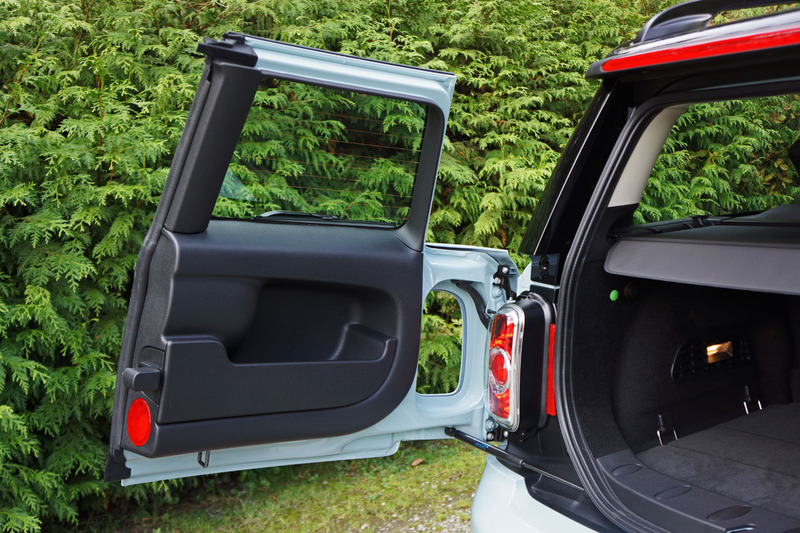 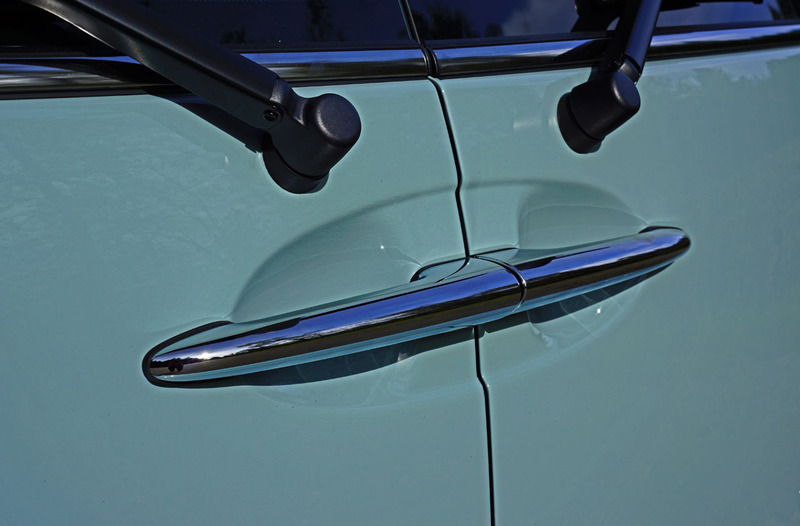 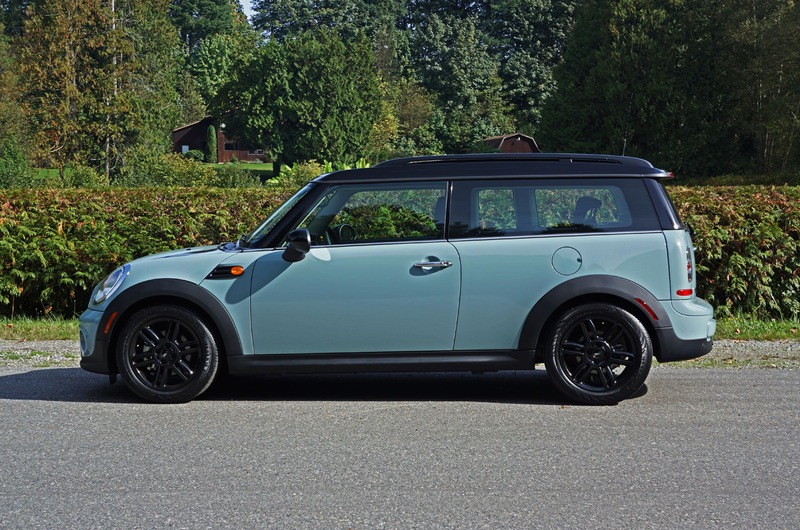 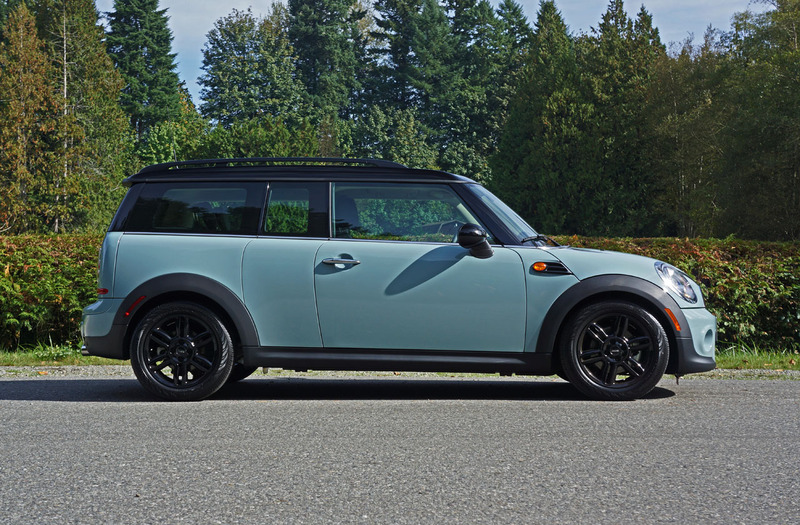 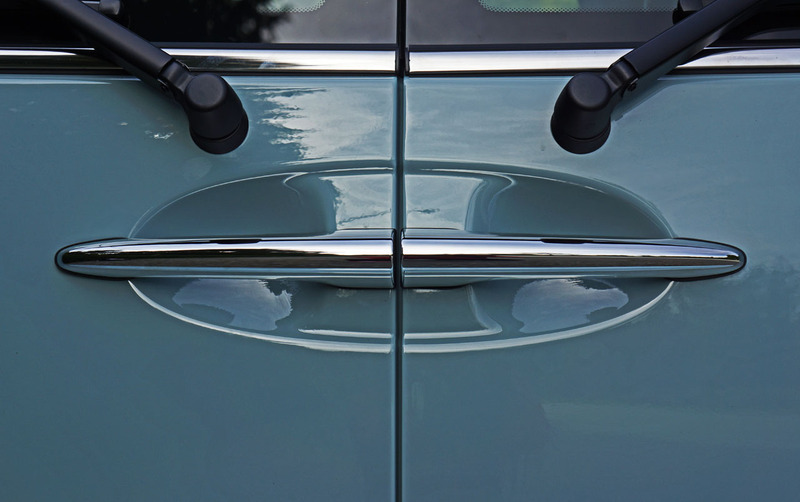 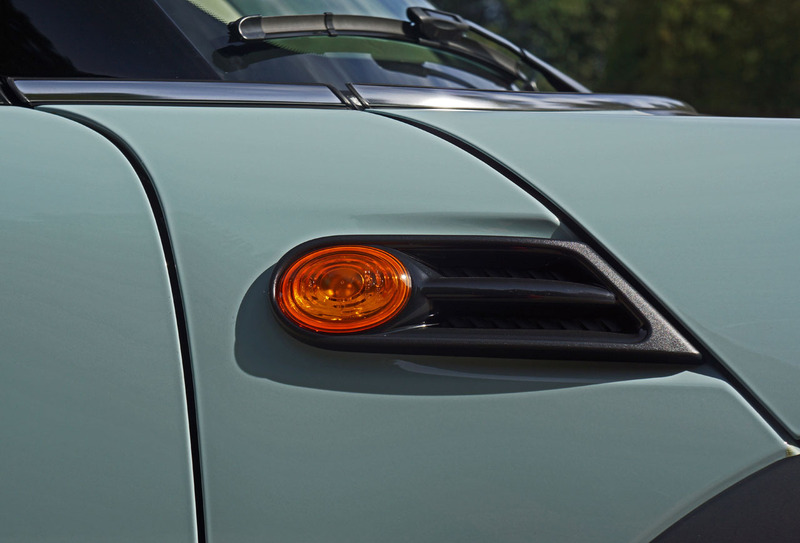 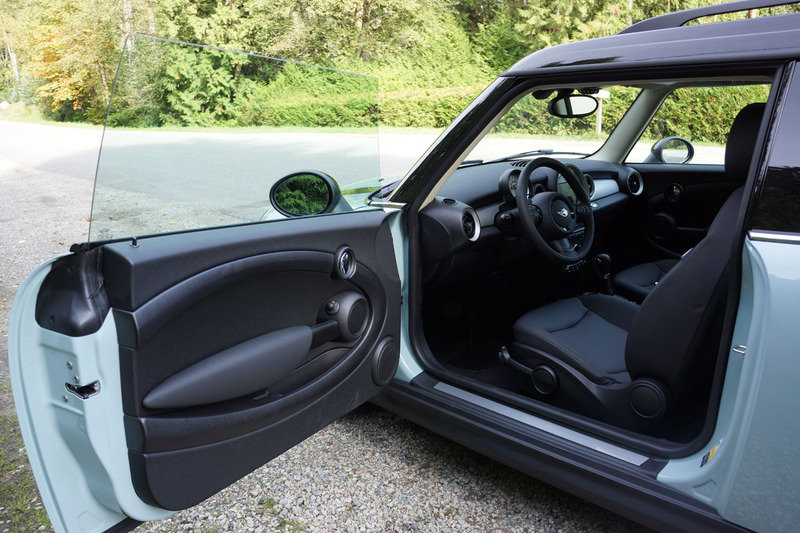 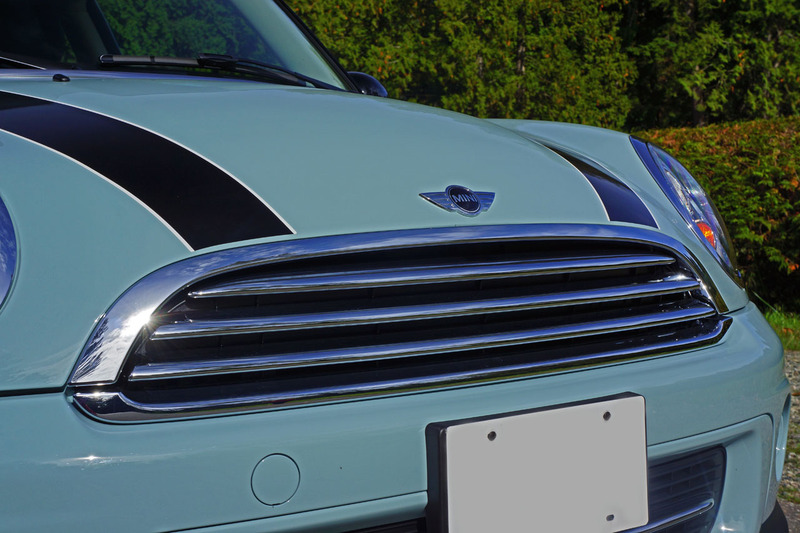 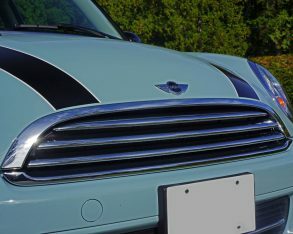 After all, a six-door Mini certainly sounds intriguing.